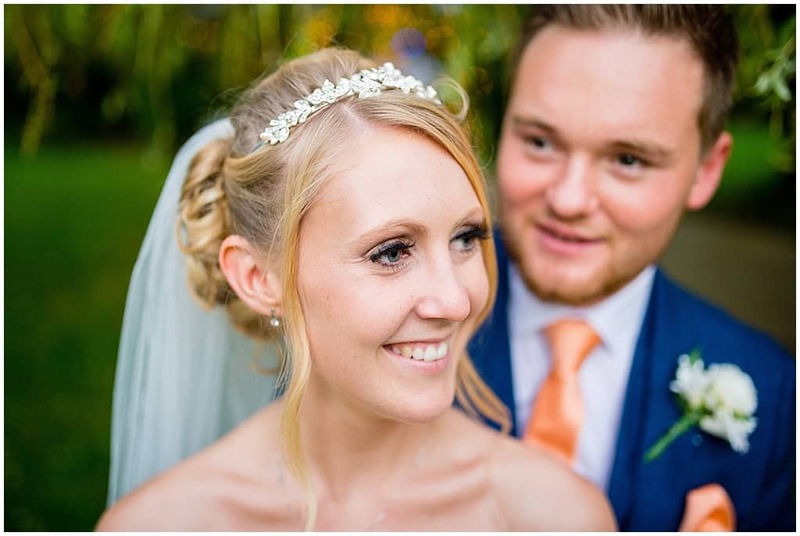 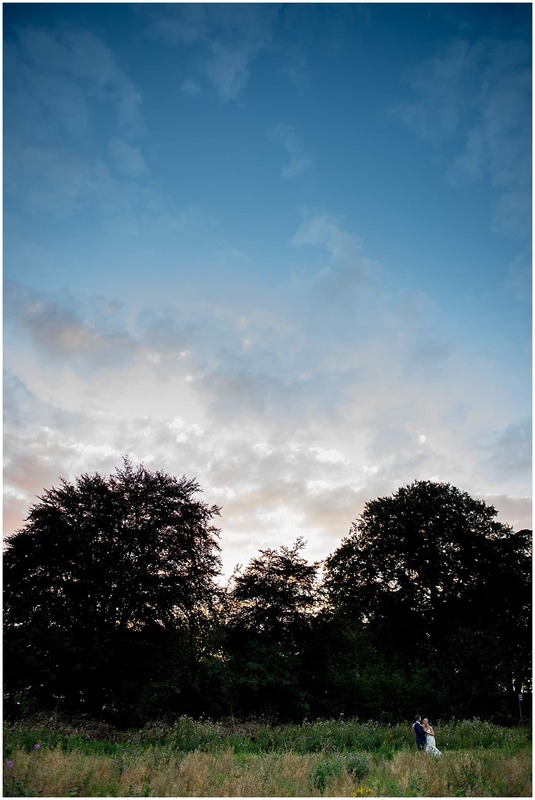 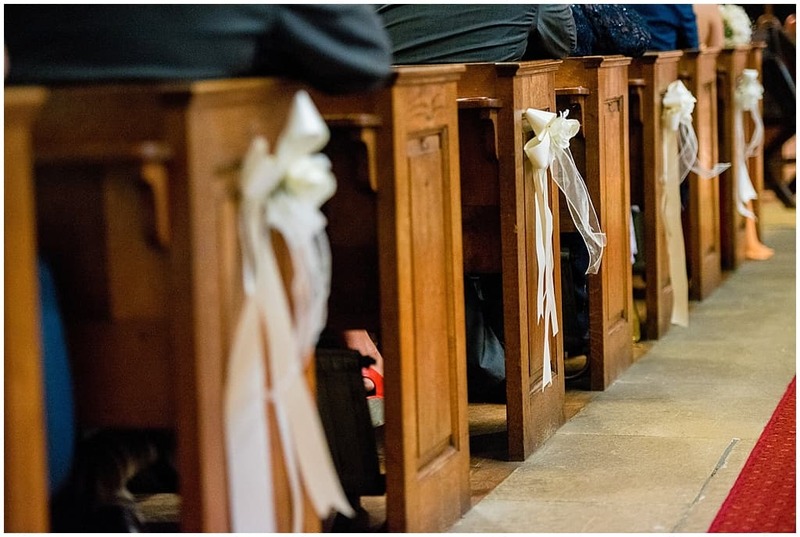 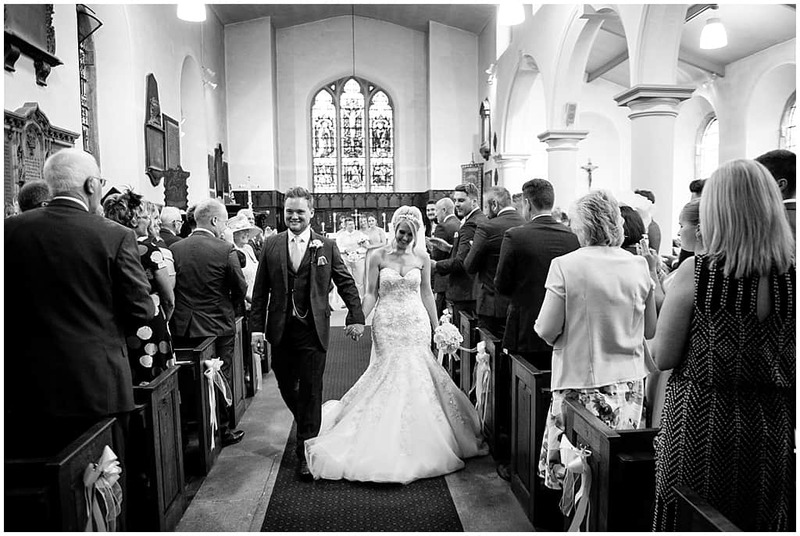 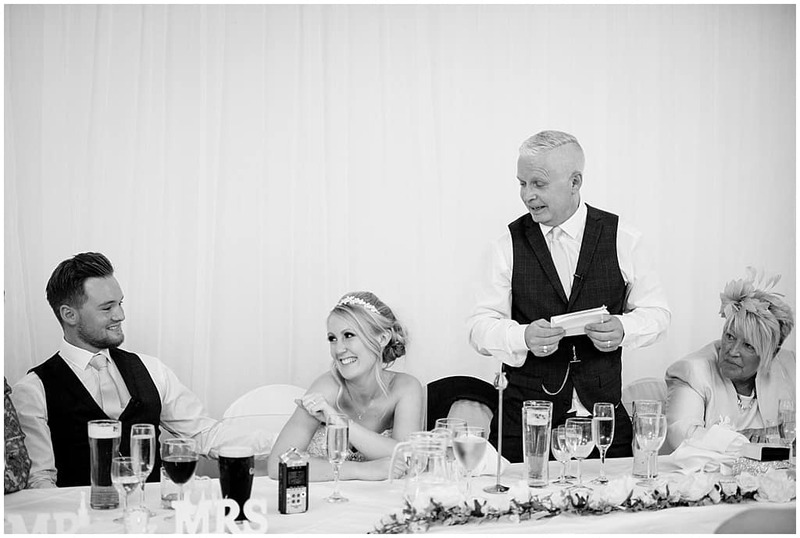 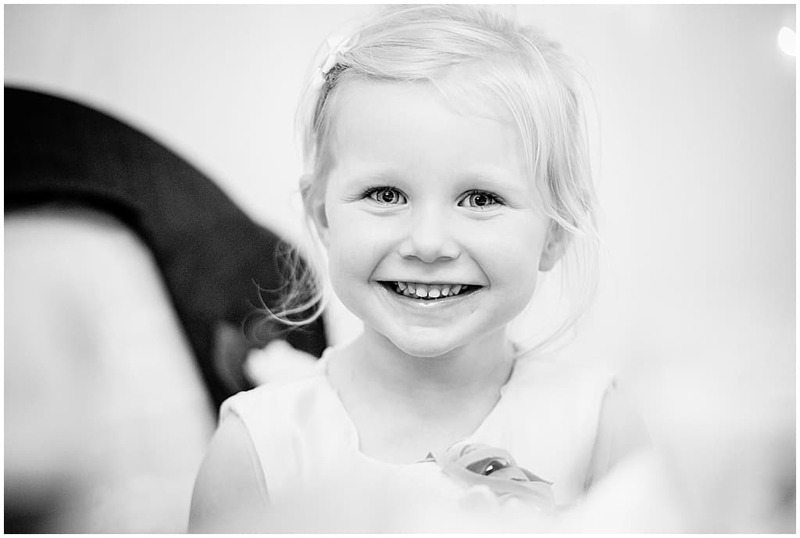 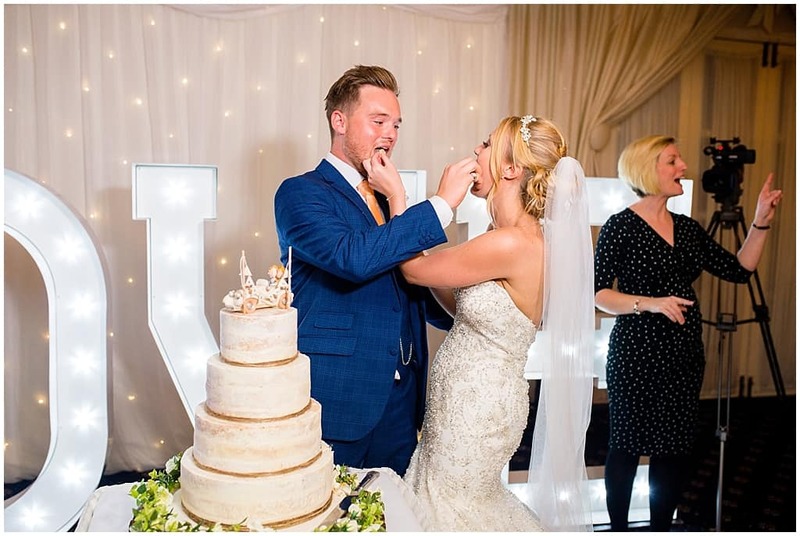 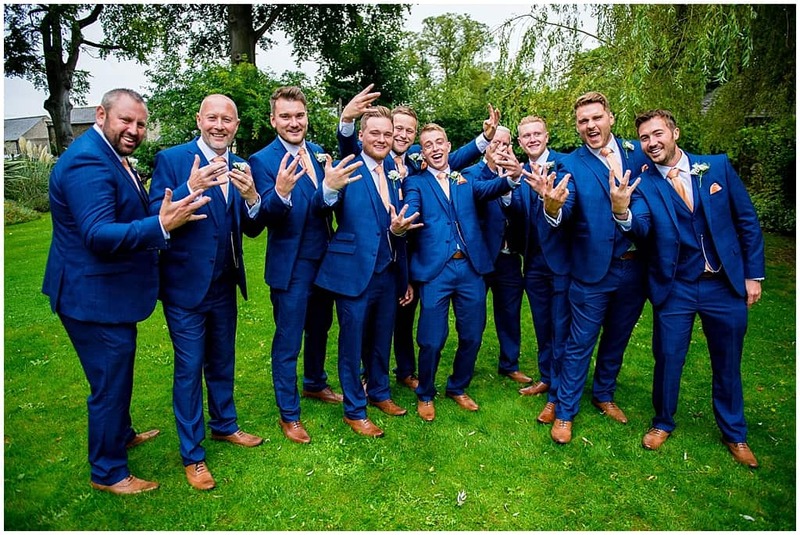 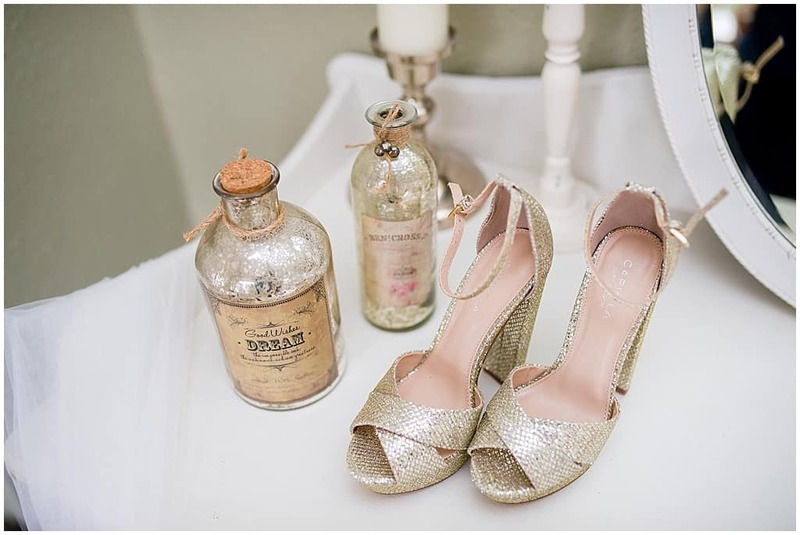 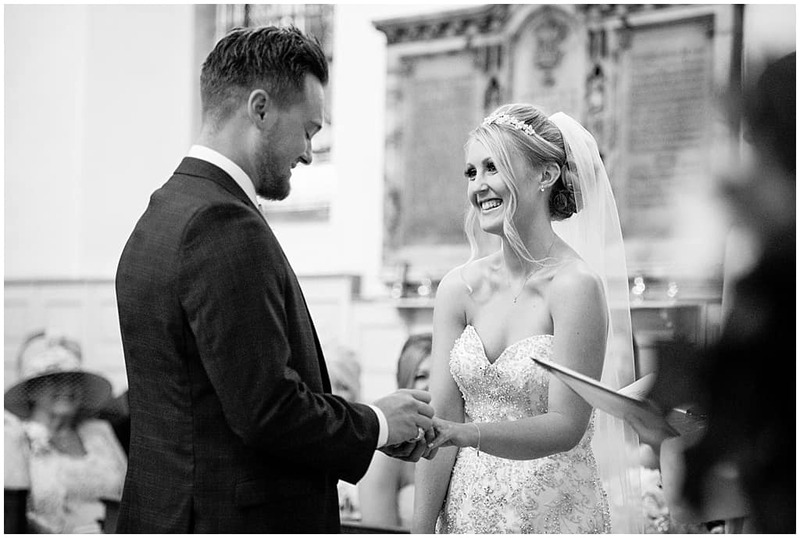 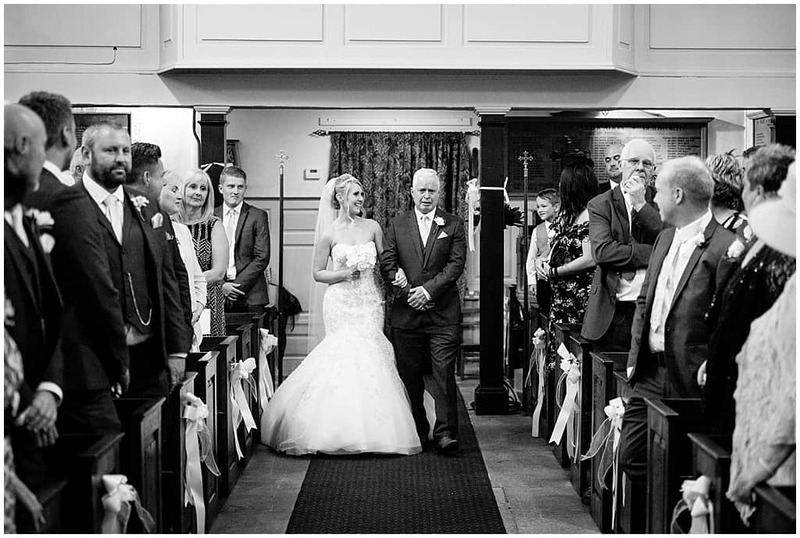 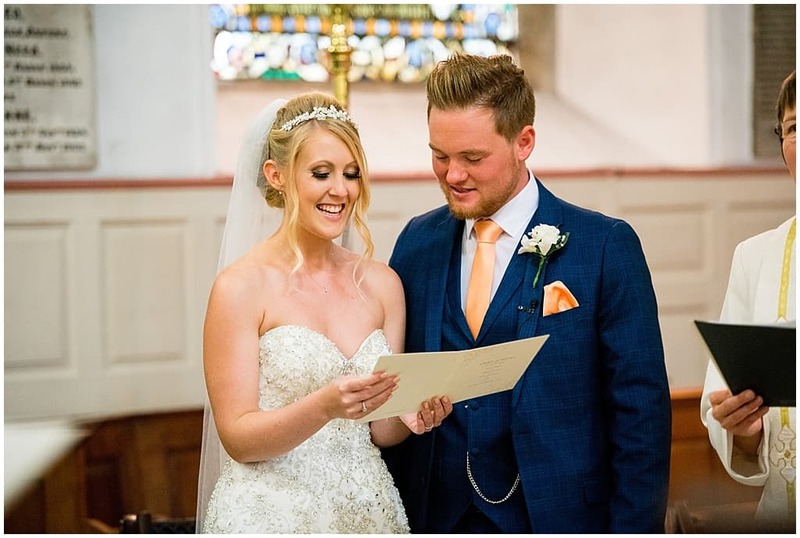 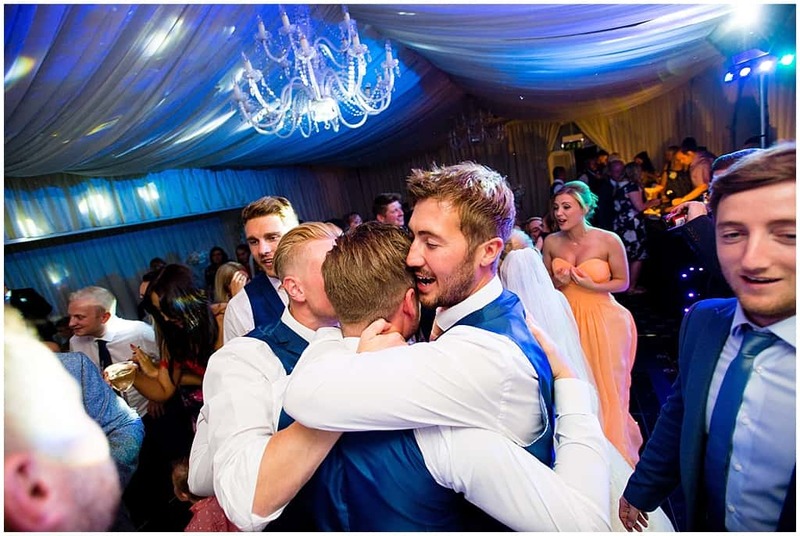 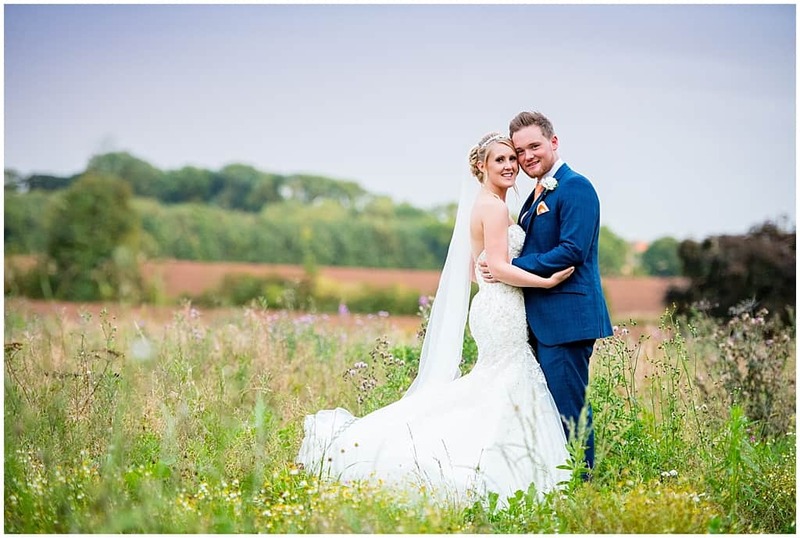 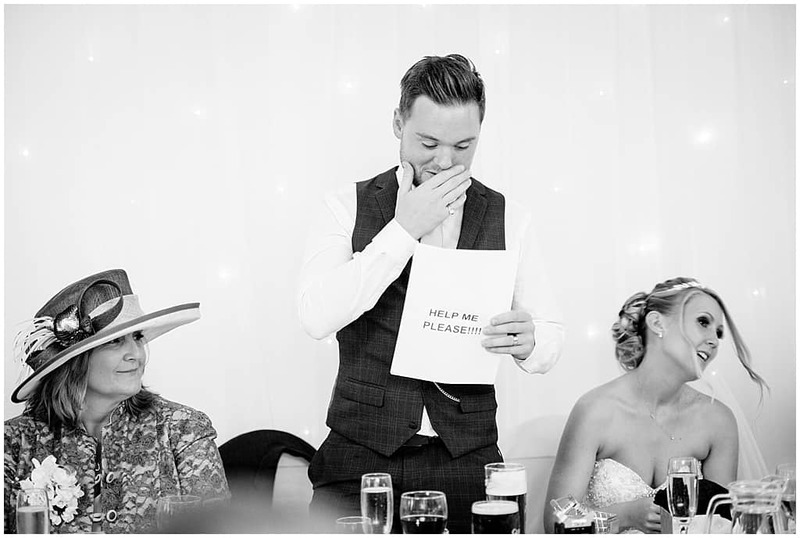 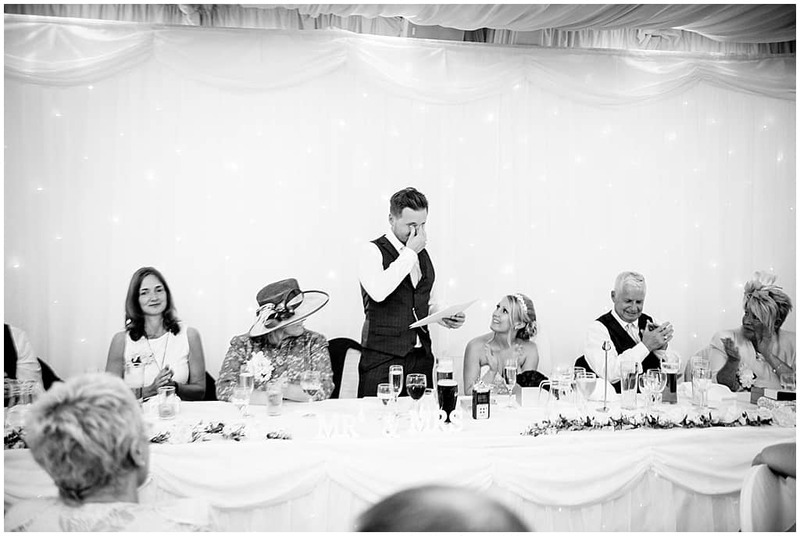 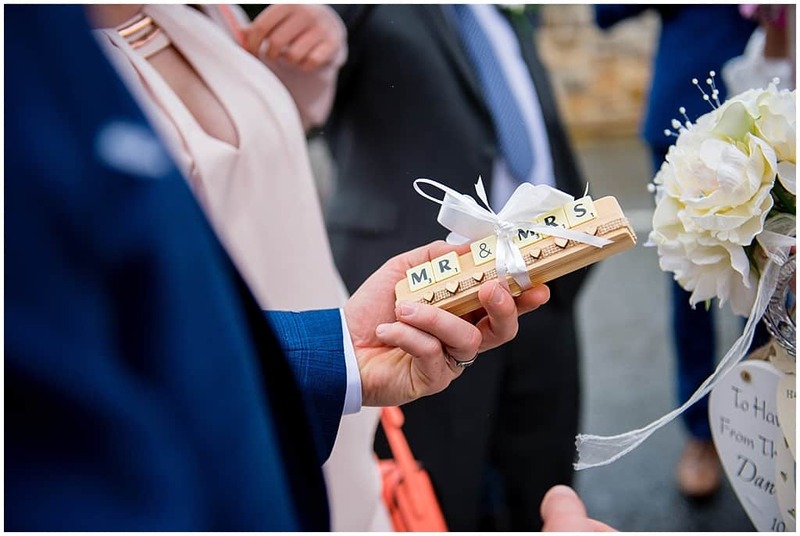 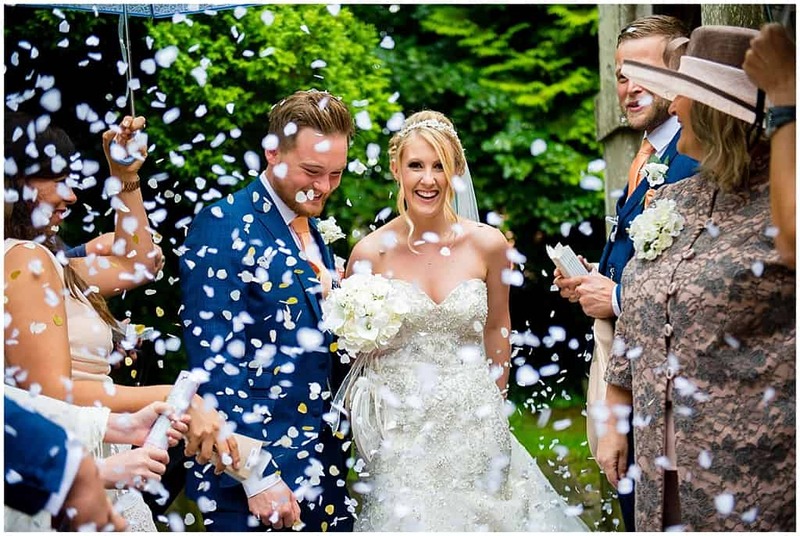 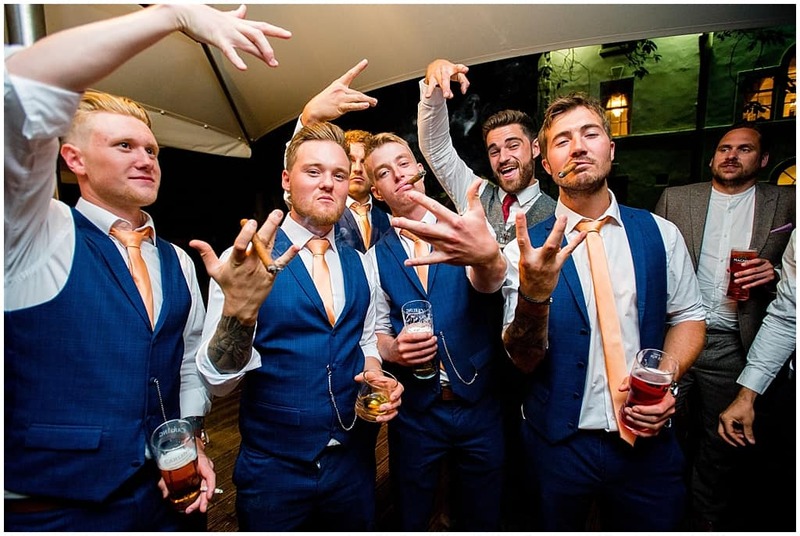 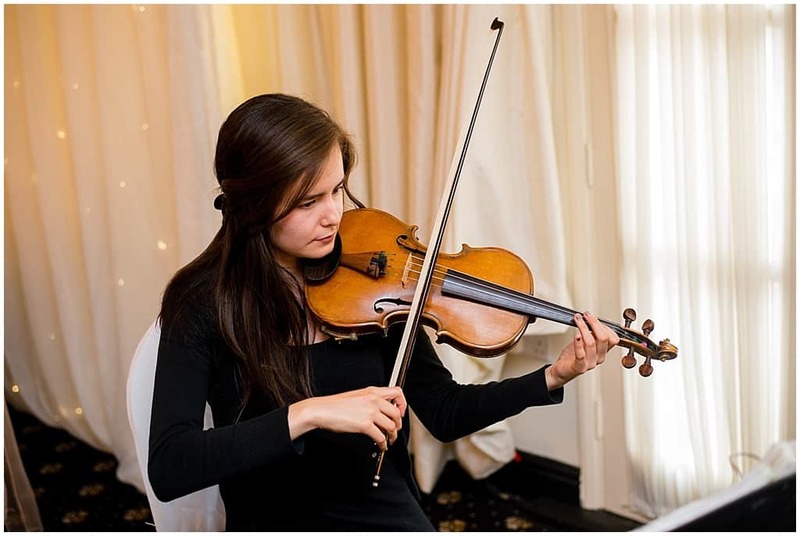 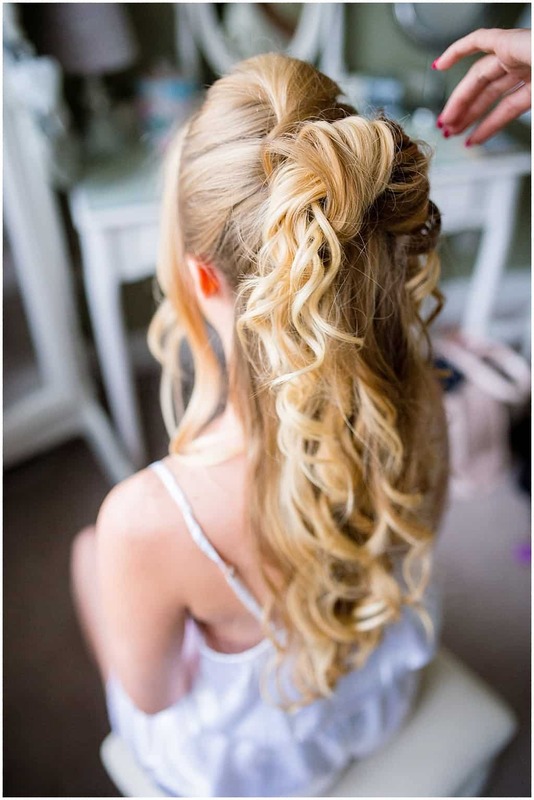 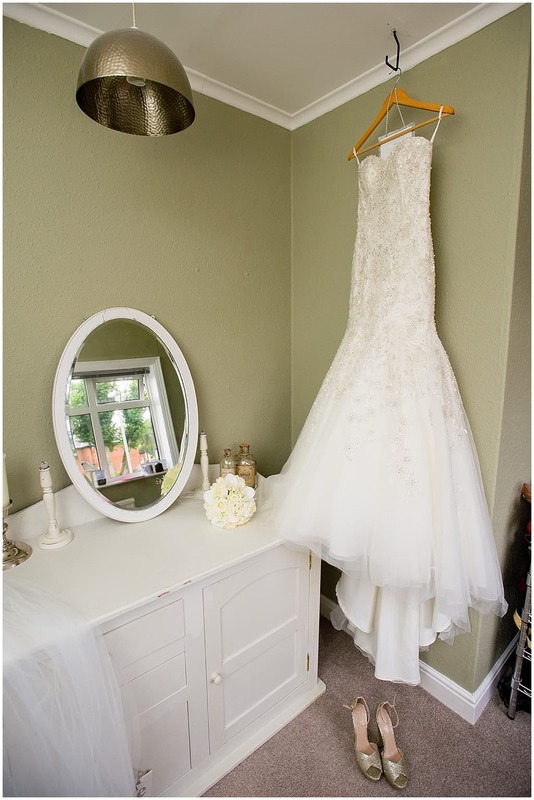 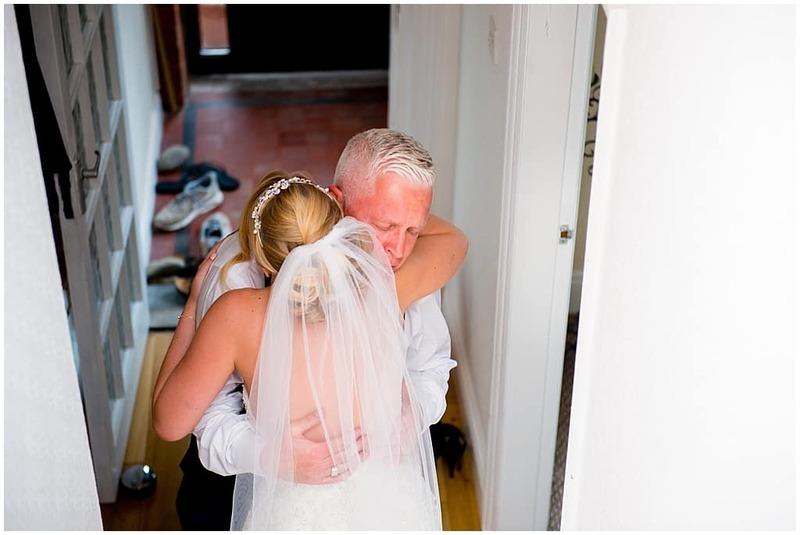 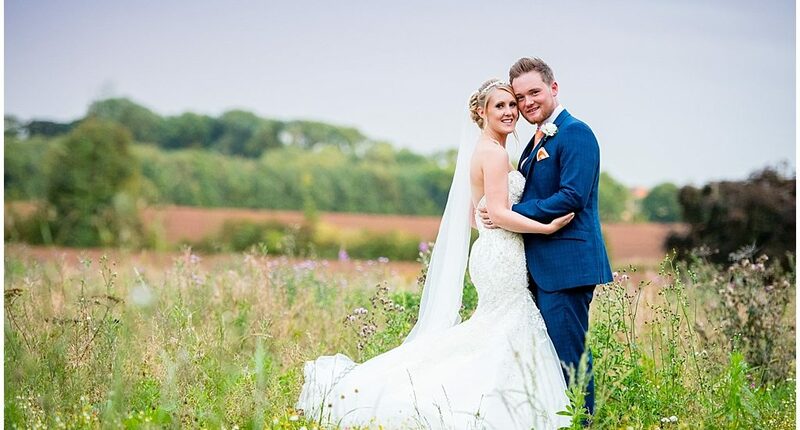 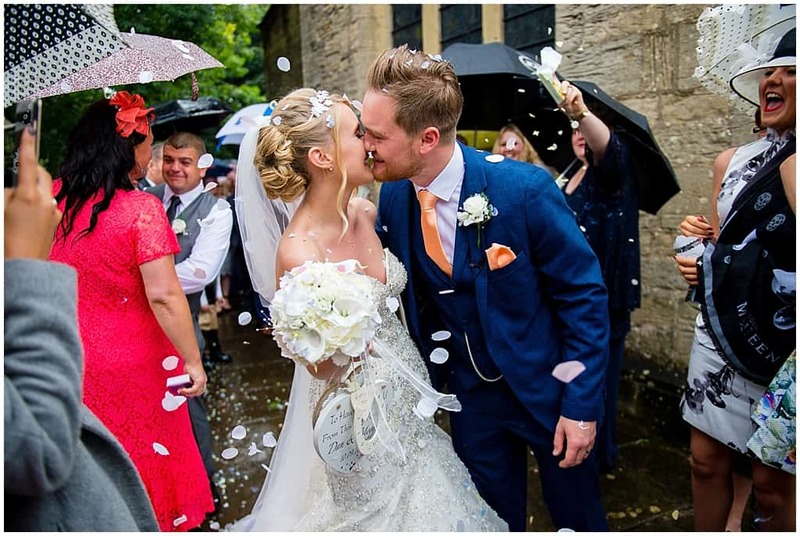 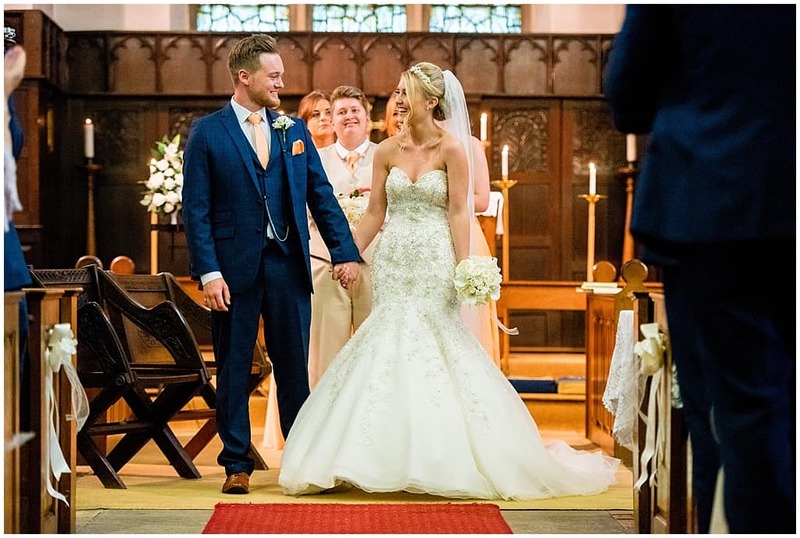 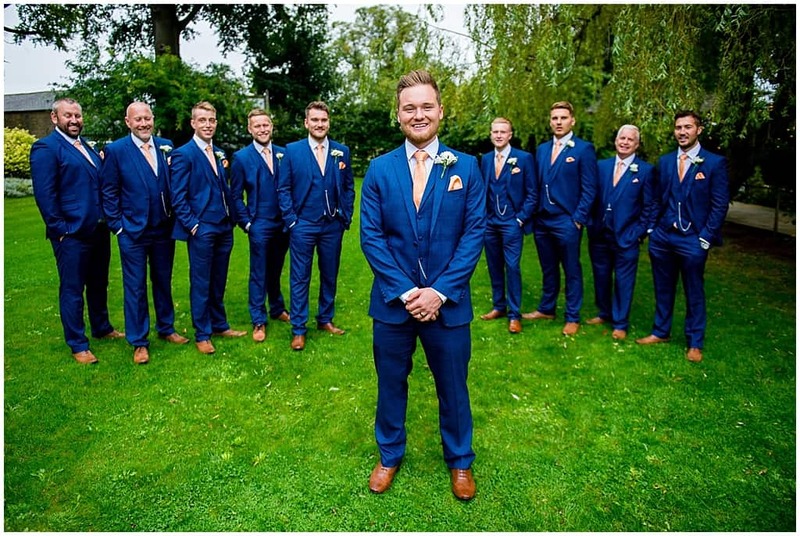 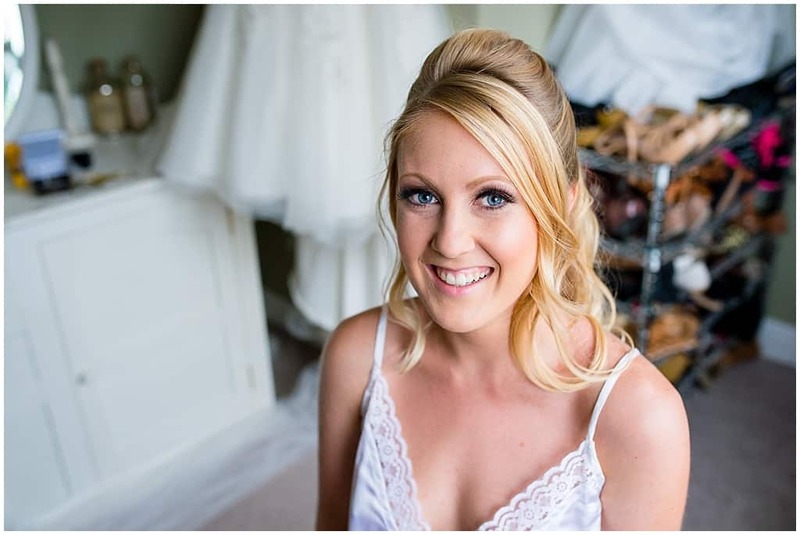 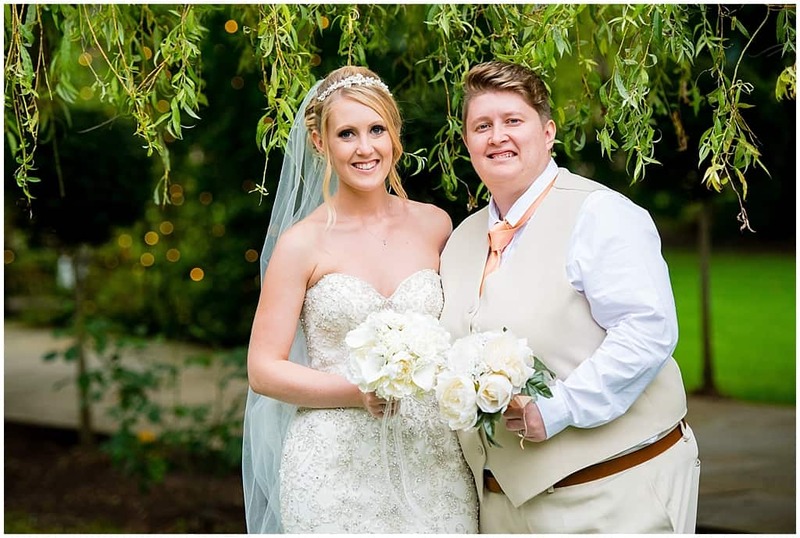 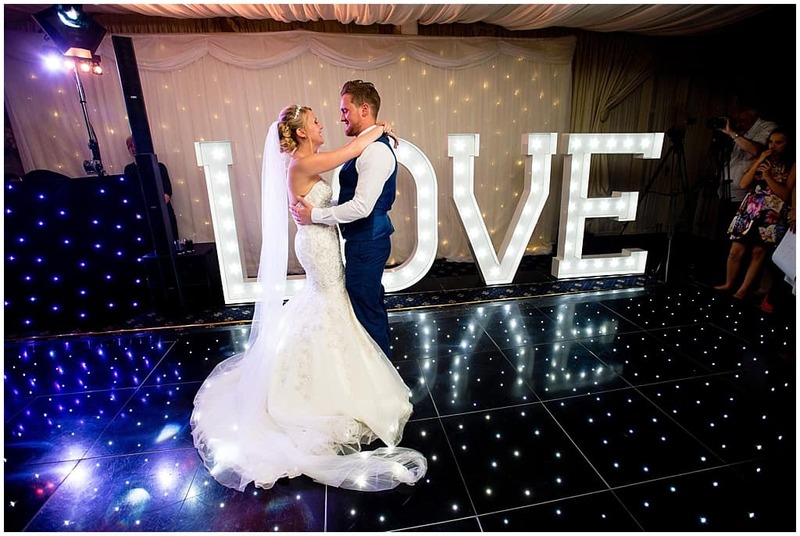 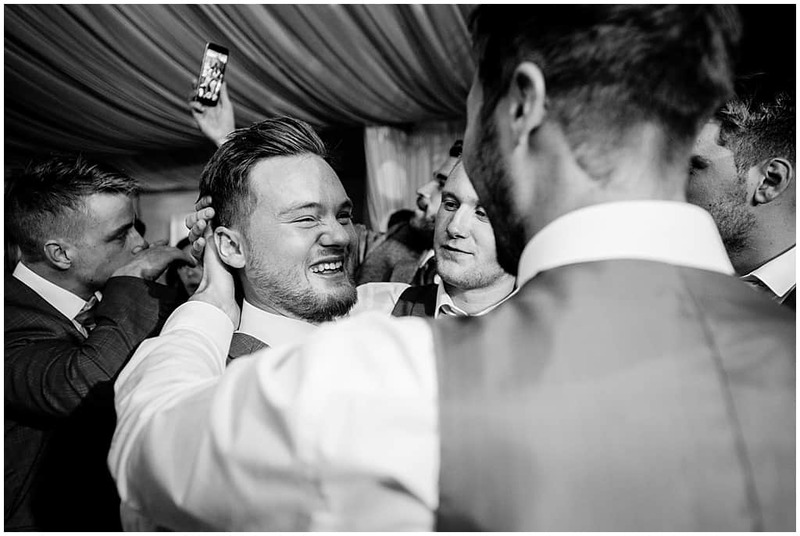 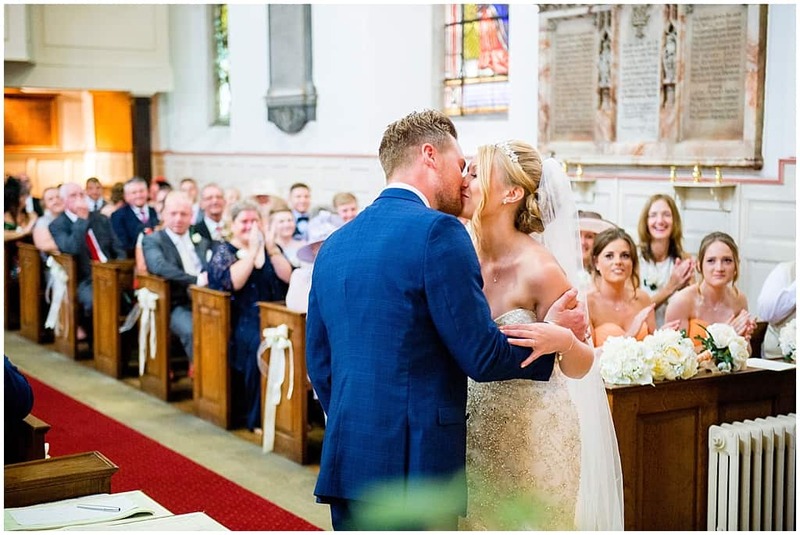 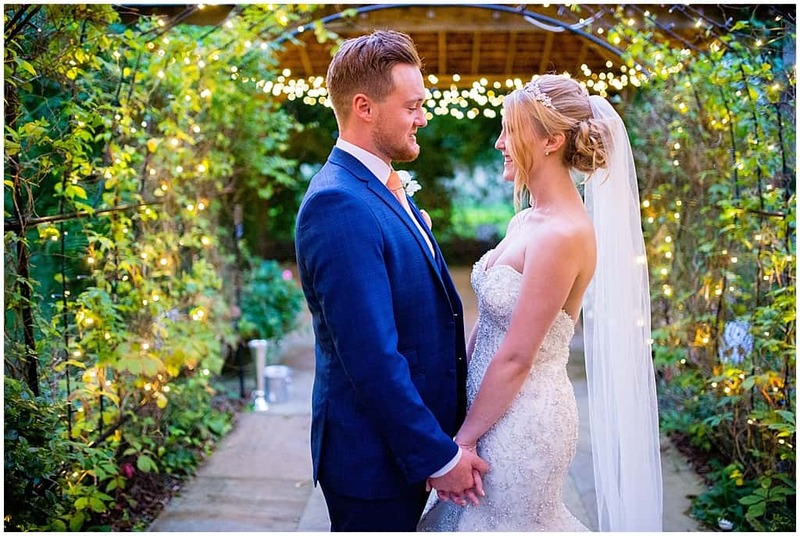 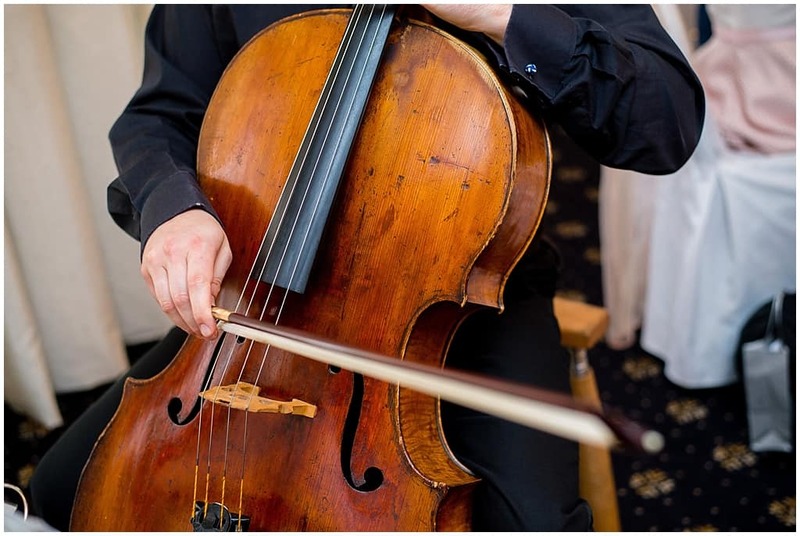 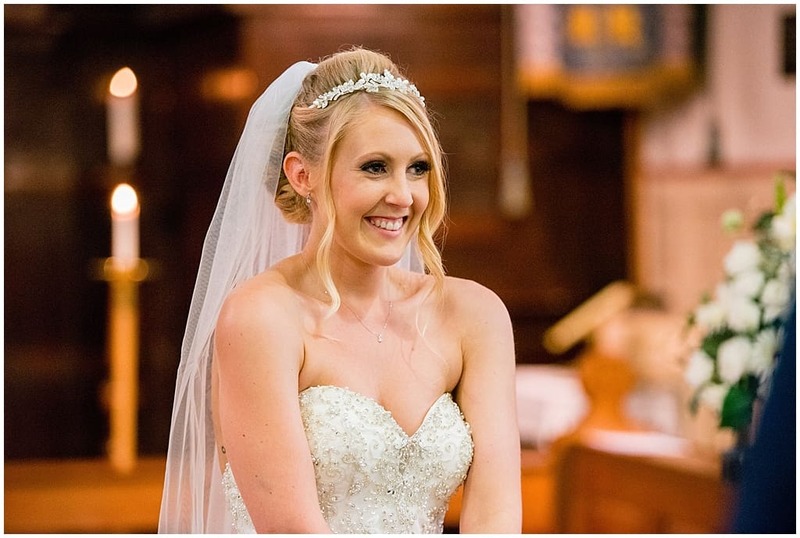 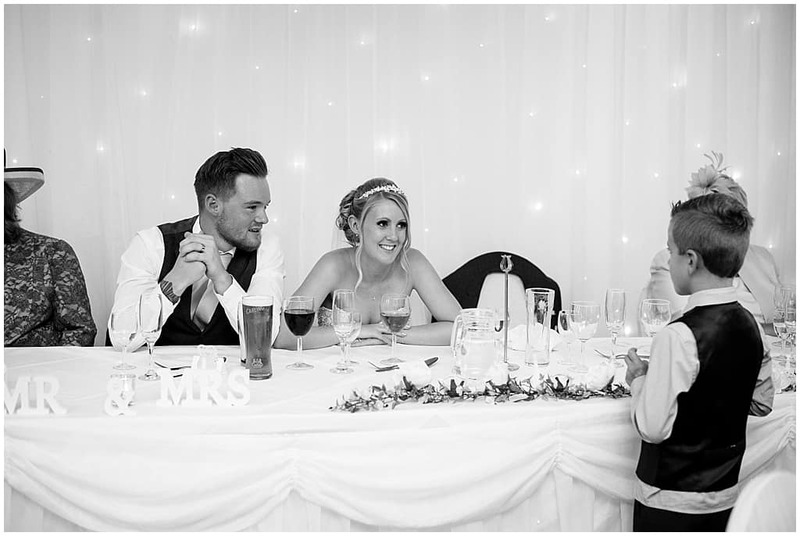 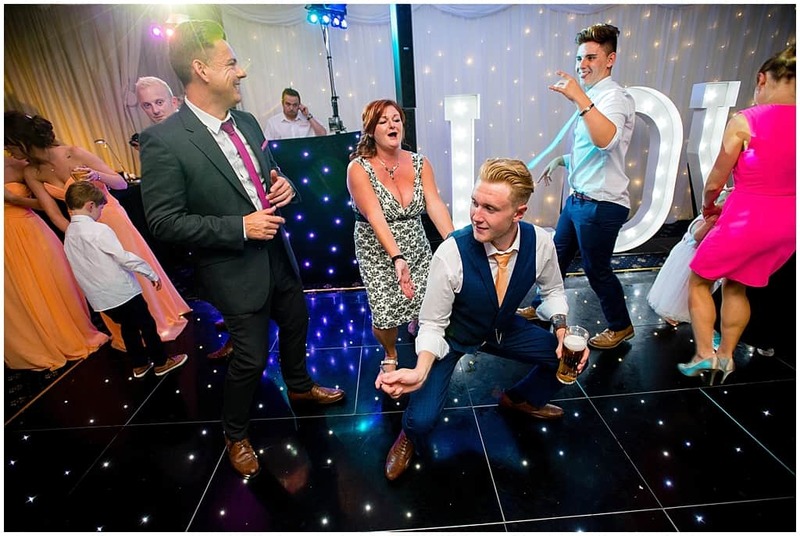 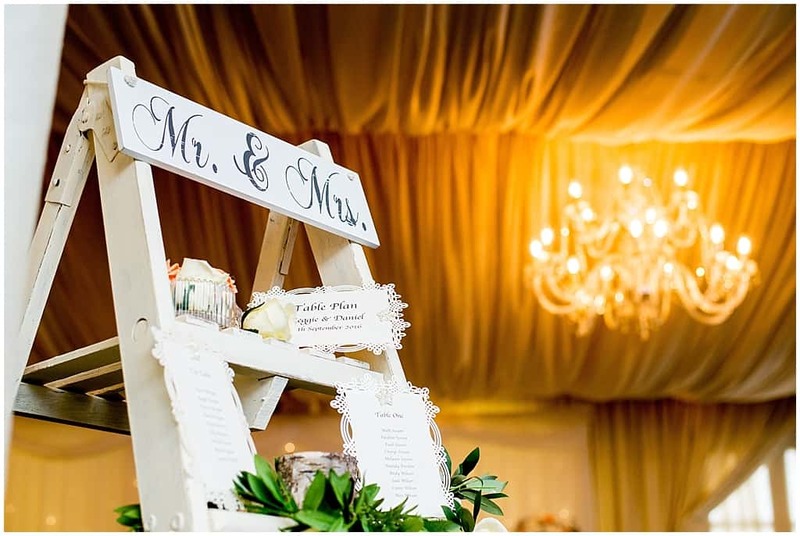 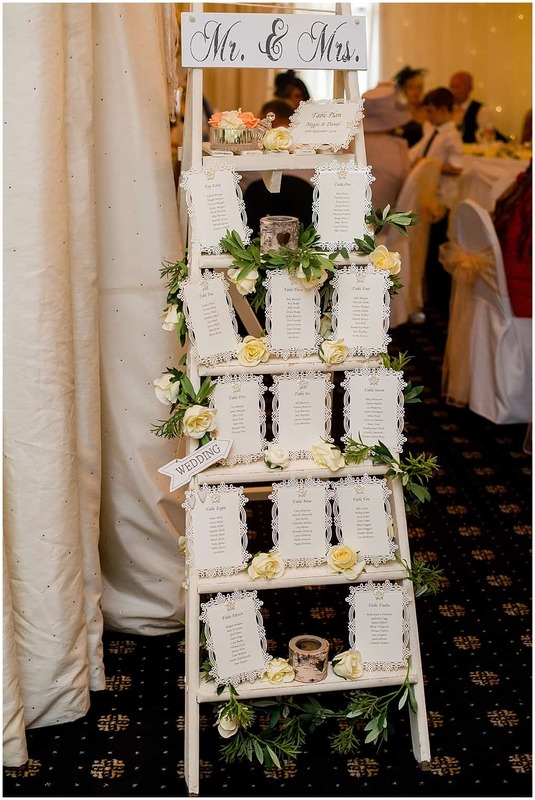 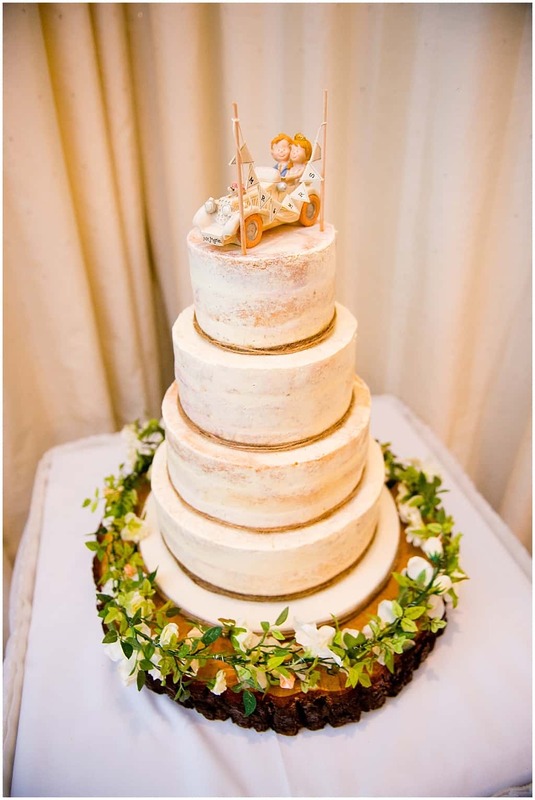 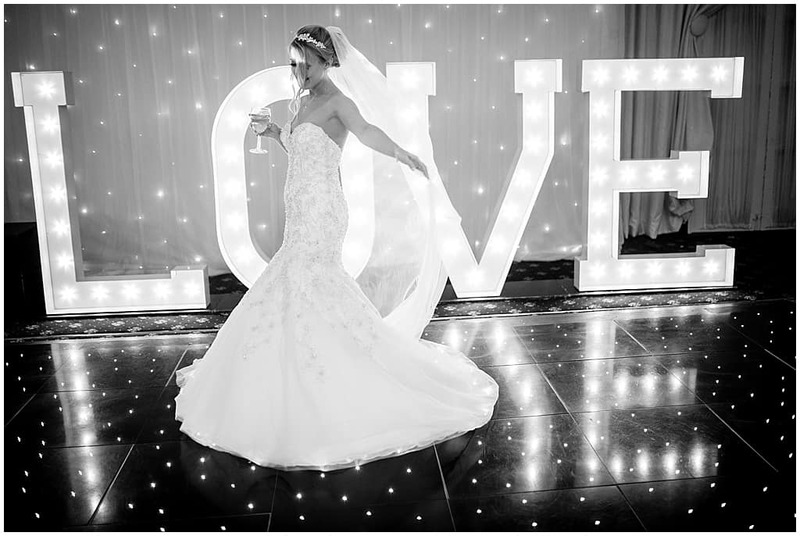 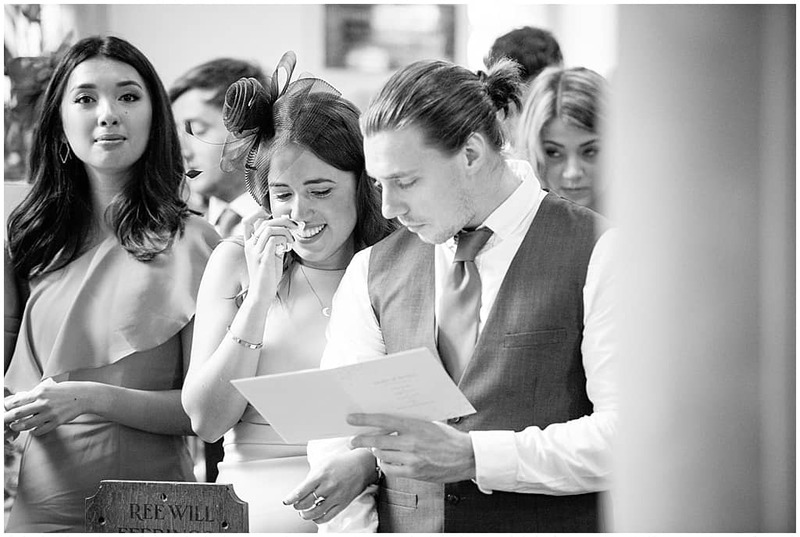 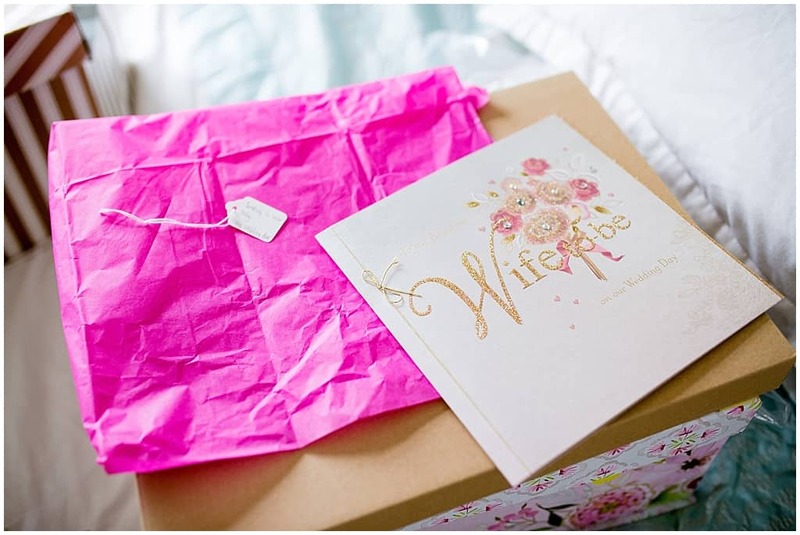 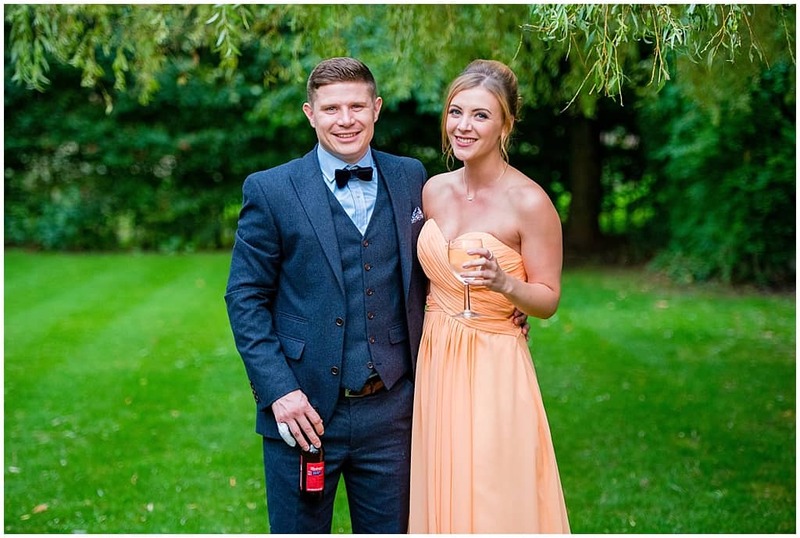 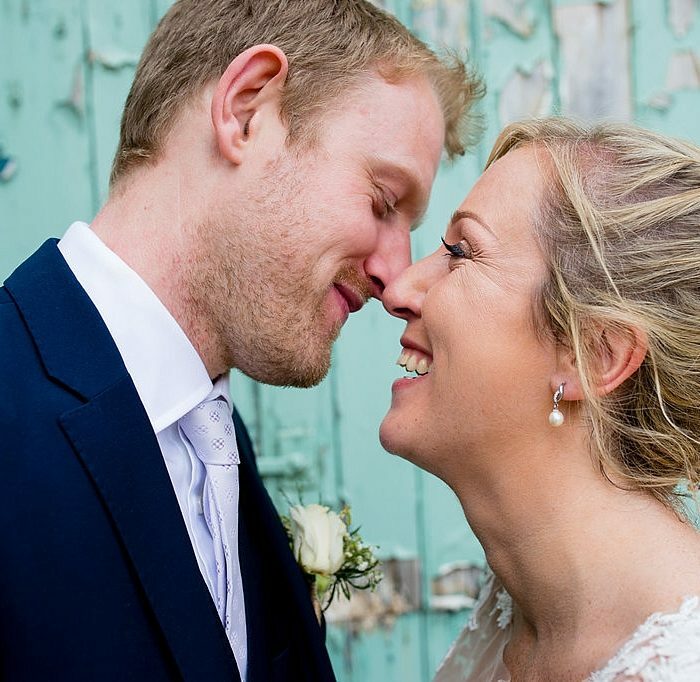 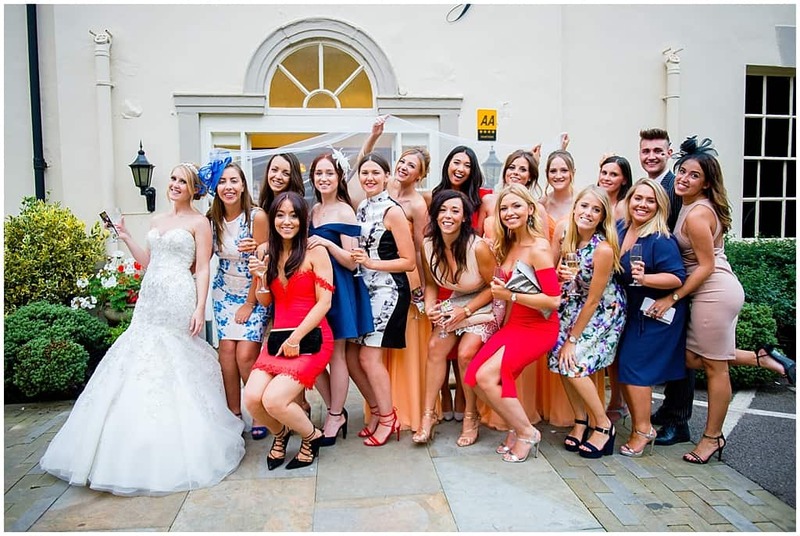 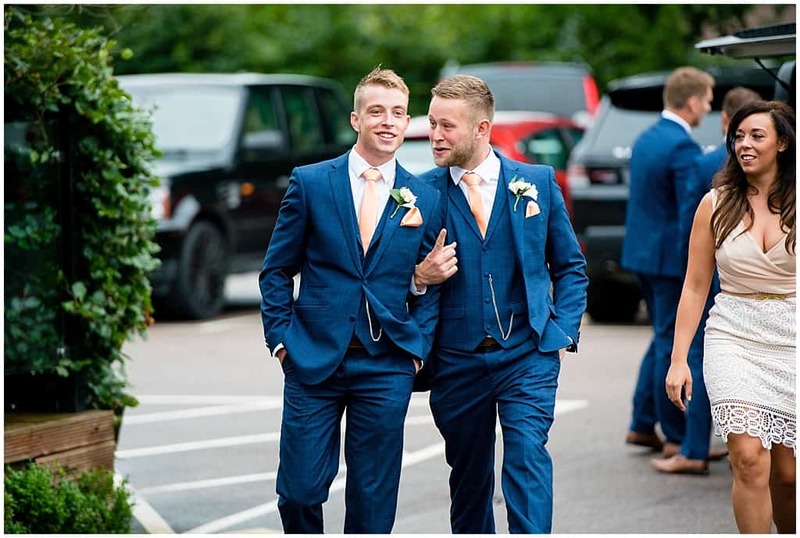 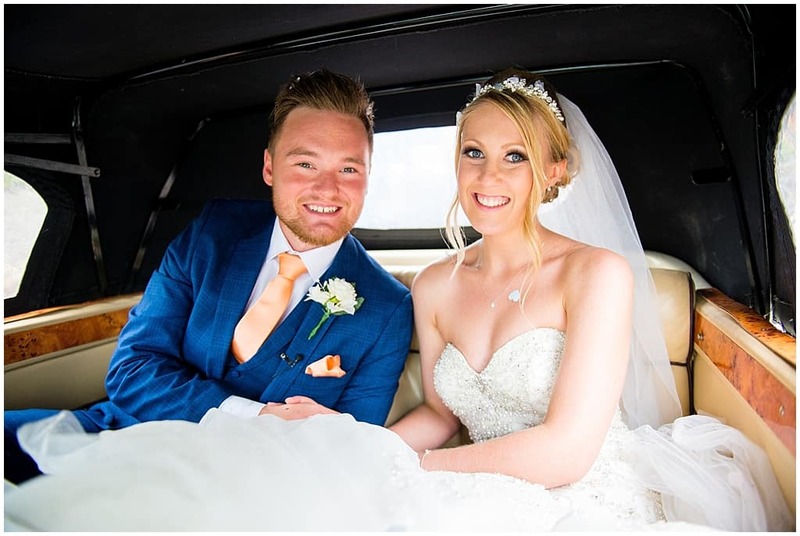 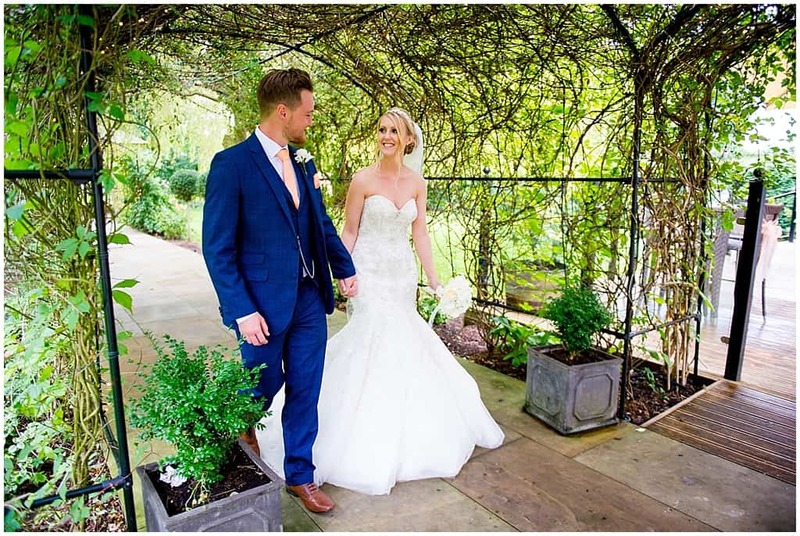 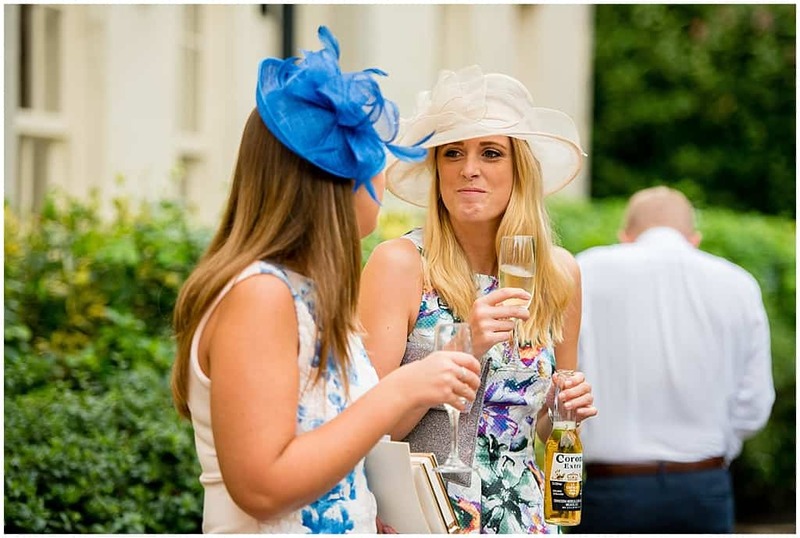 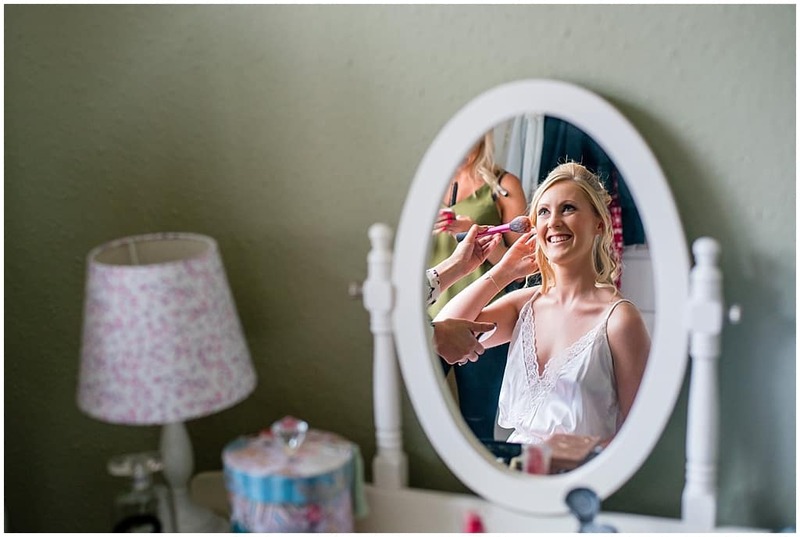 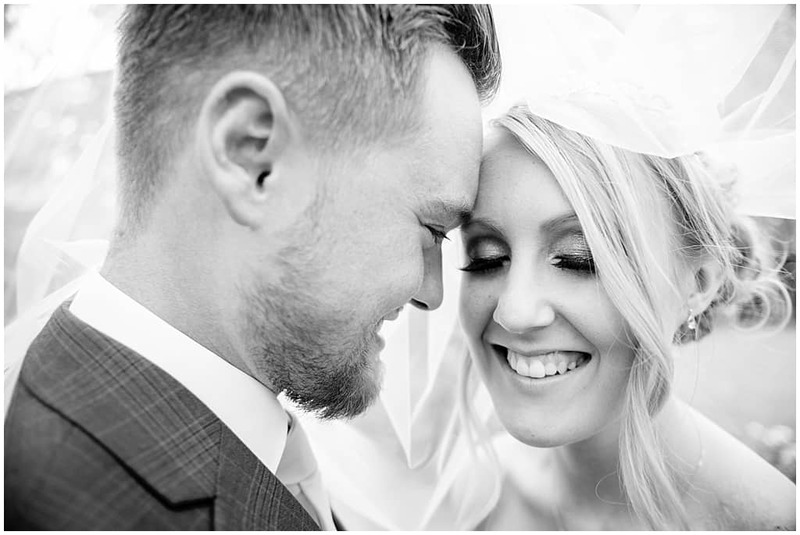 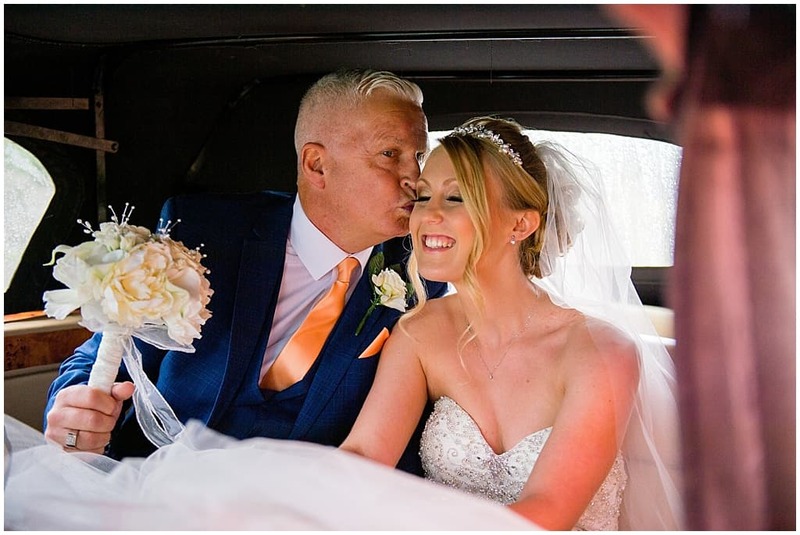 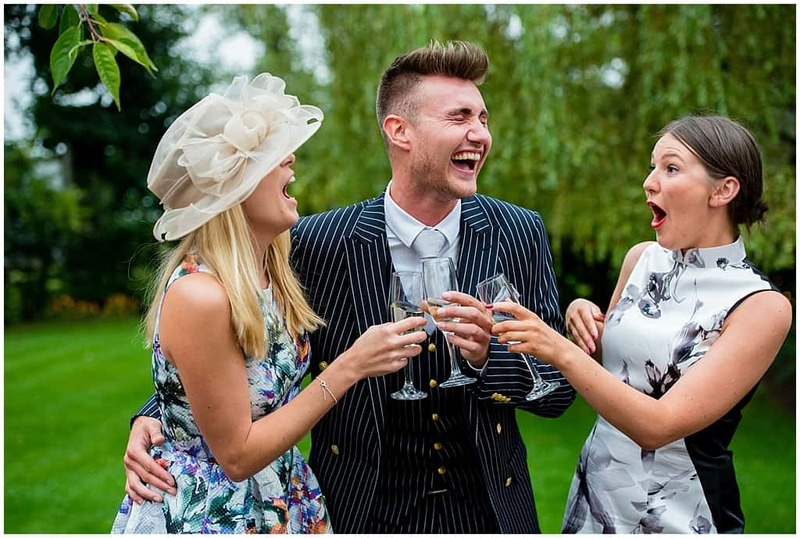 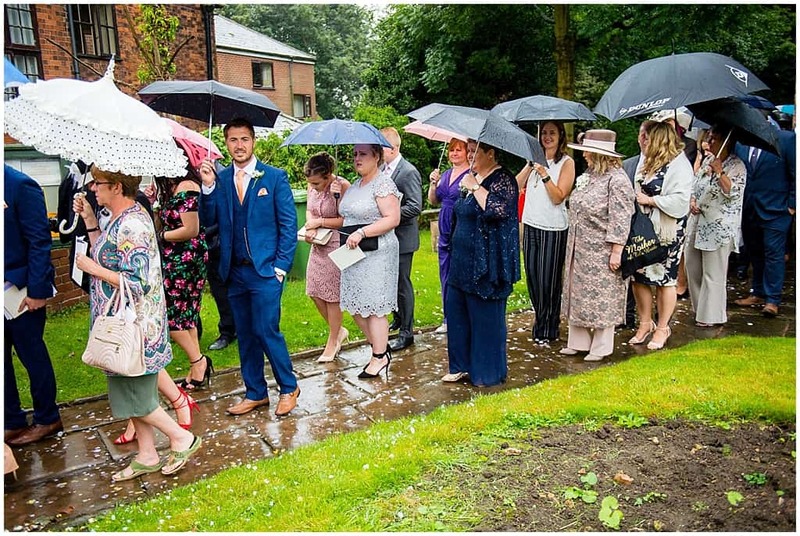 Meggie & Dan defied the rain and celebrated in style for their beautiful Derbyshire wedding. 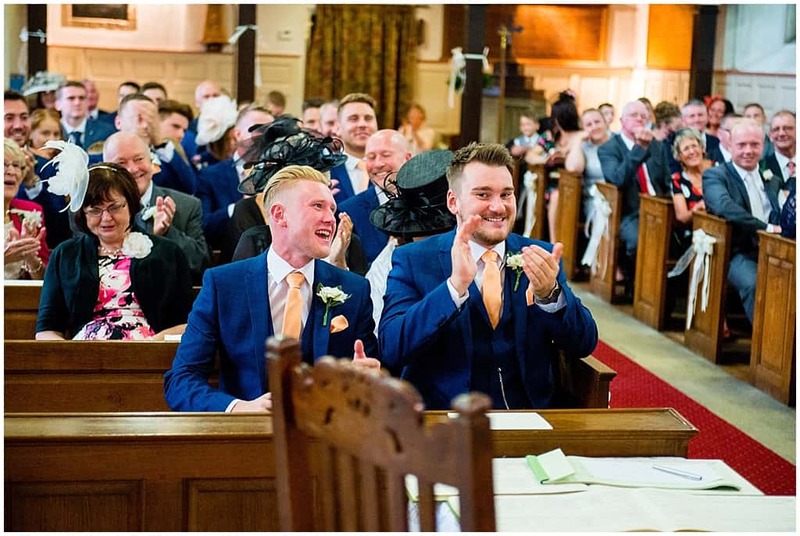 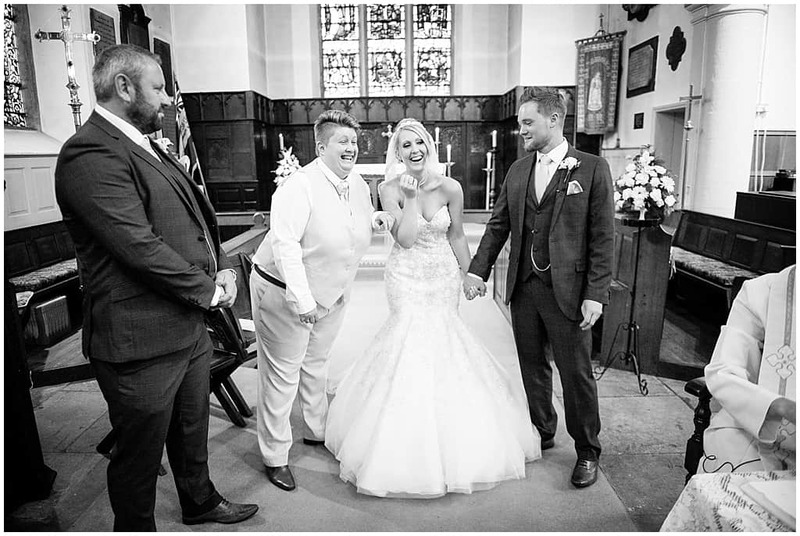 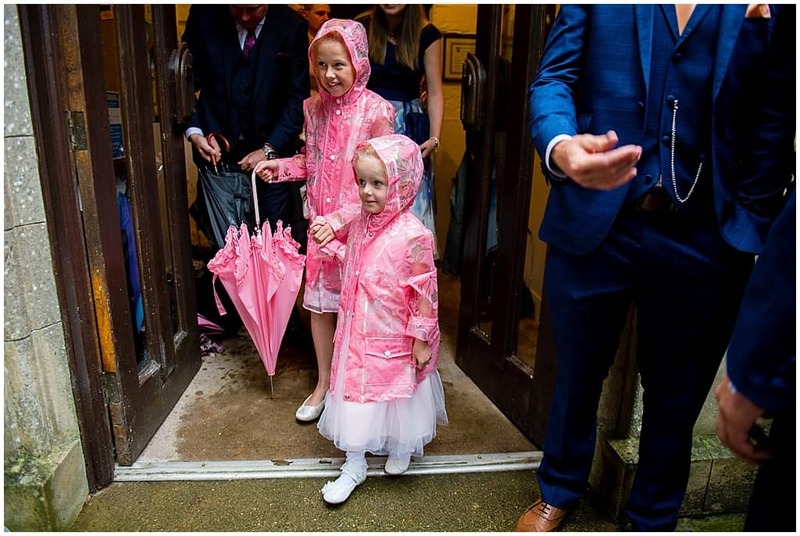 They started their day by saying ‘I do’ at St Mary’s Church in Blidworht, with big umbrellas and even bigger smiles. 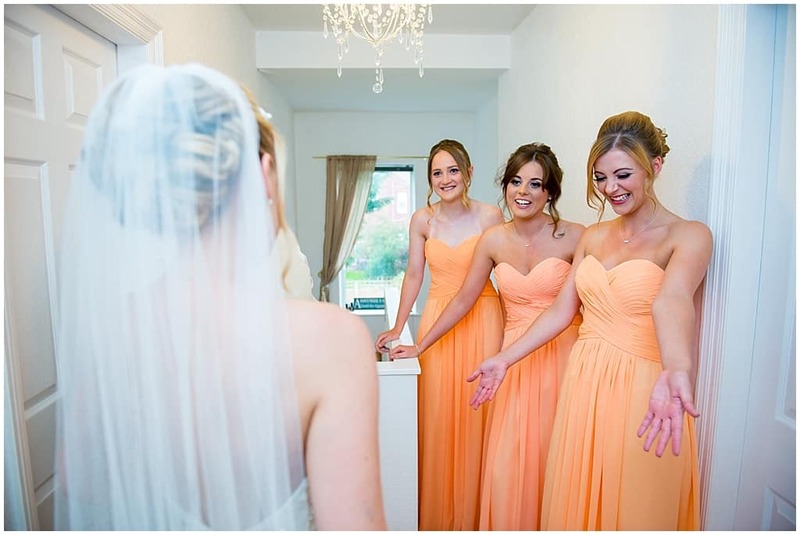 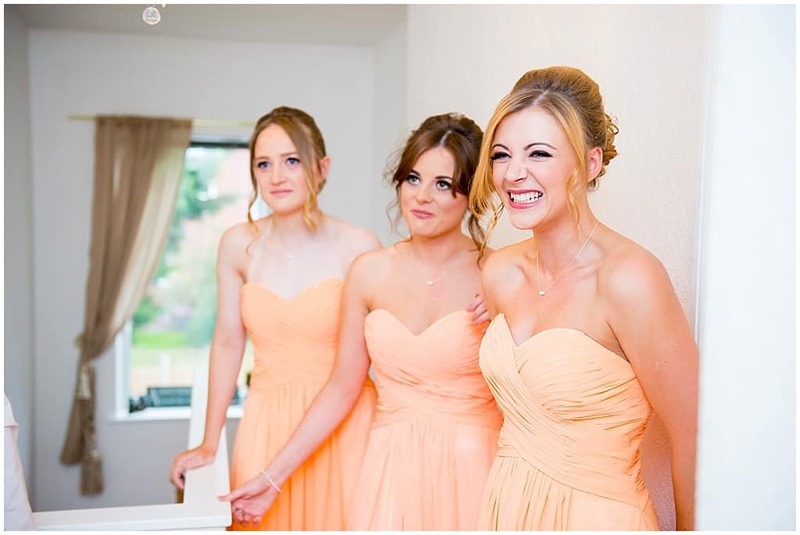 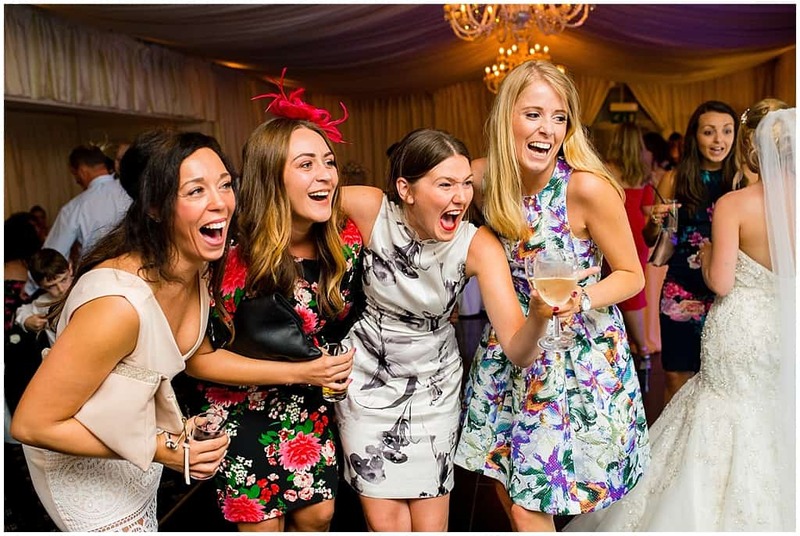 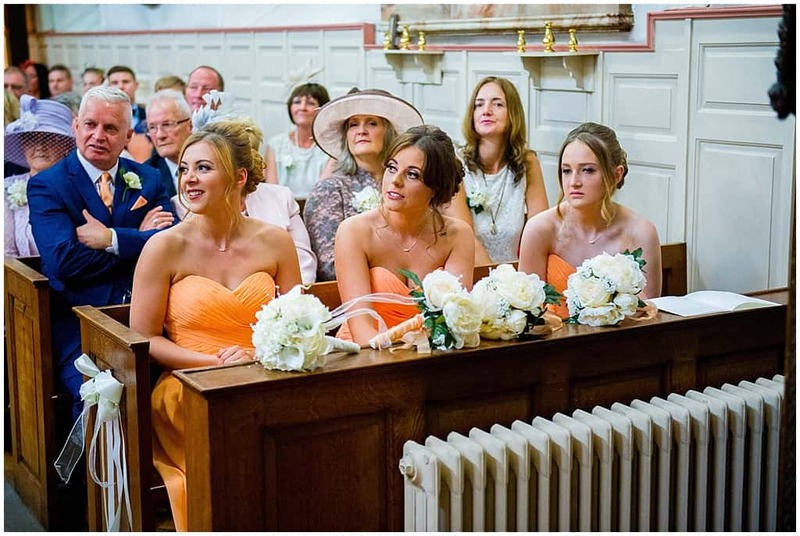 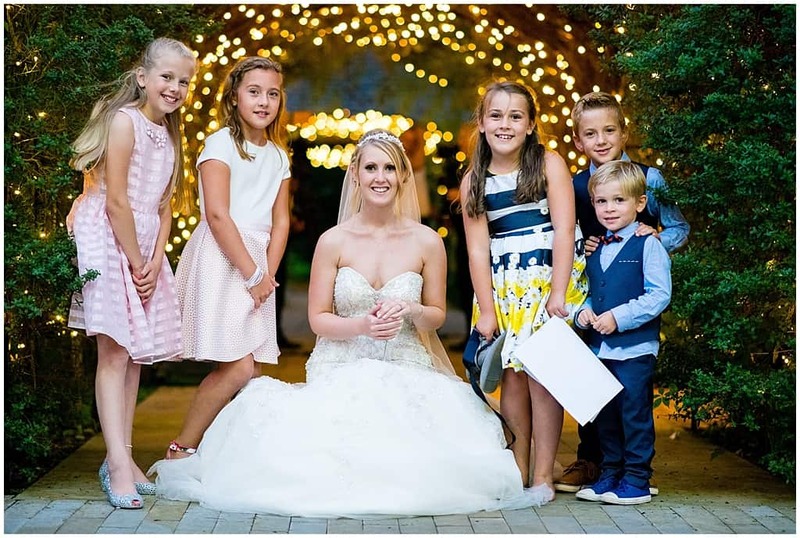 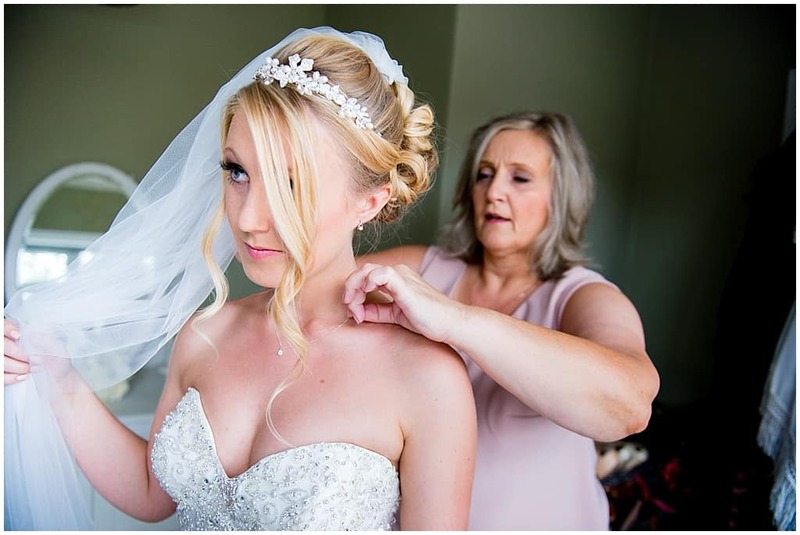 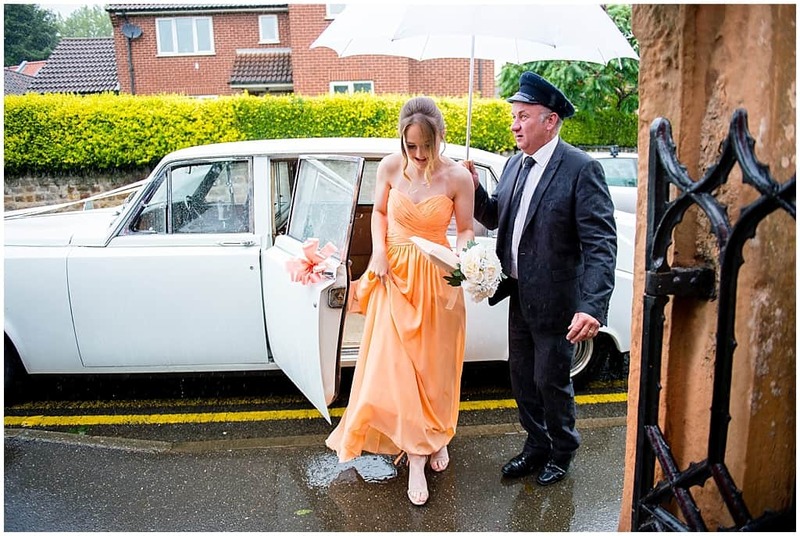 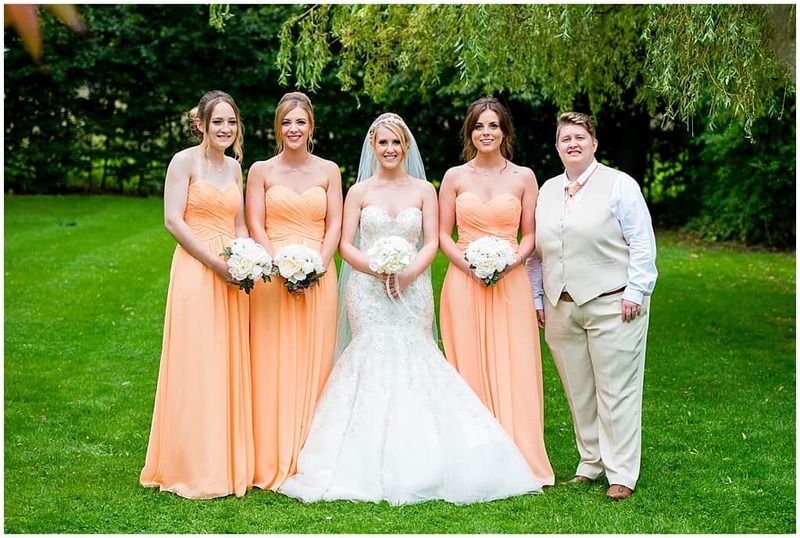 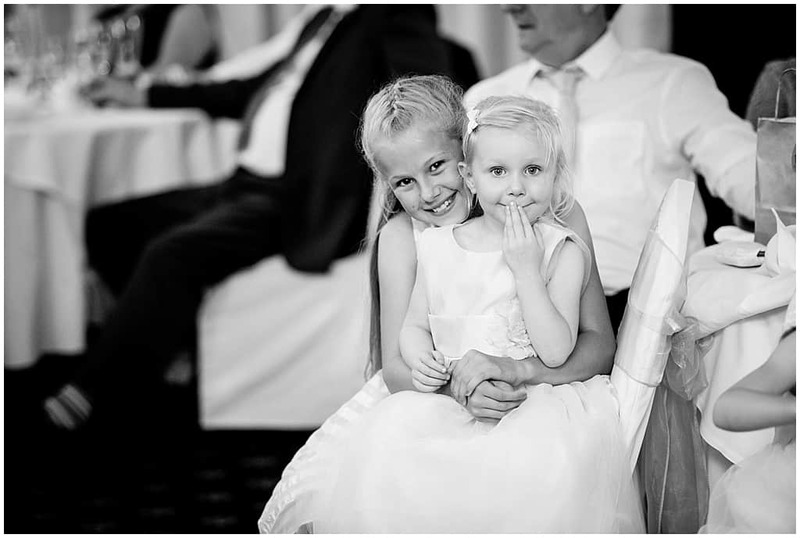 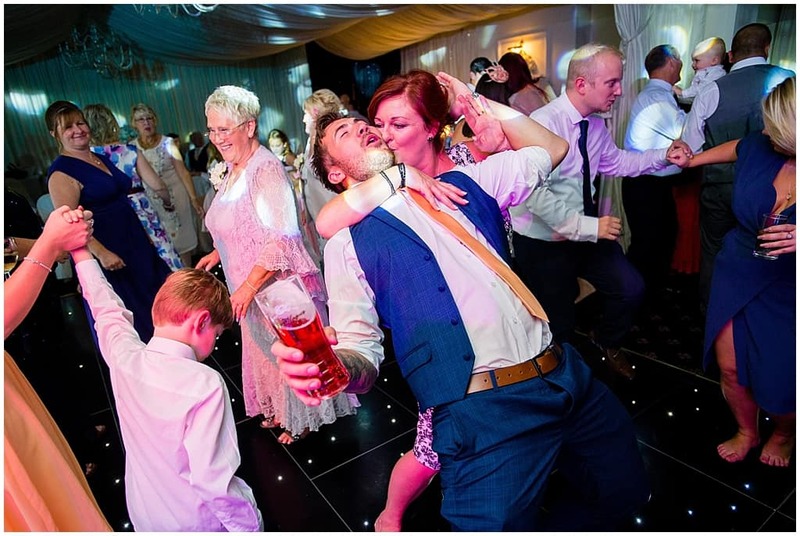 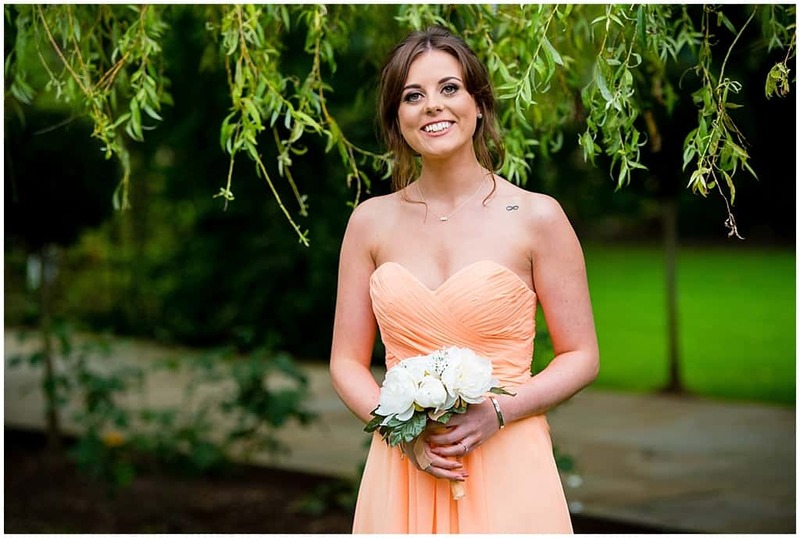 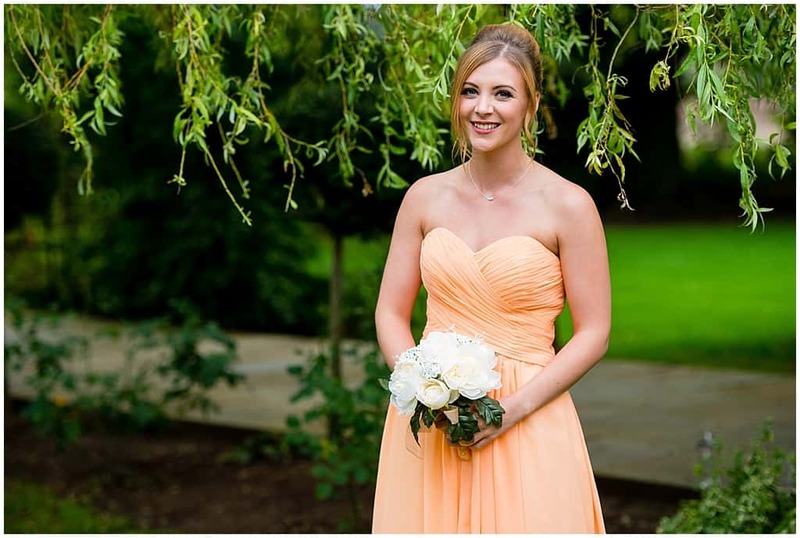 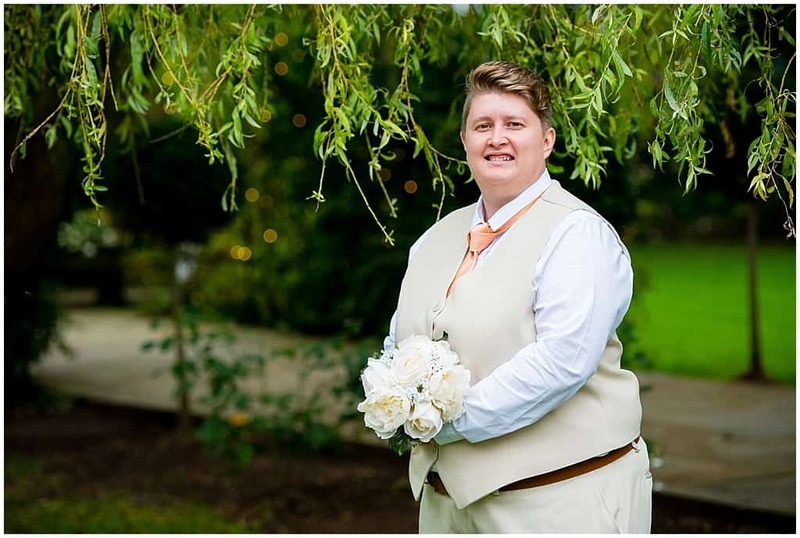 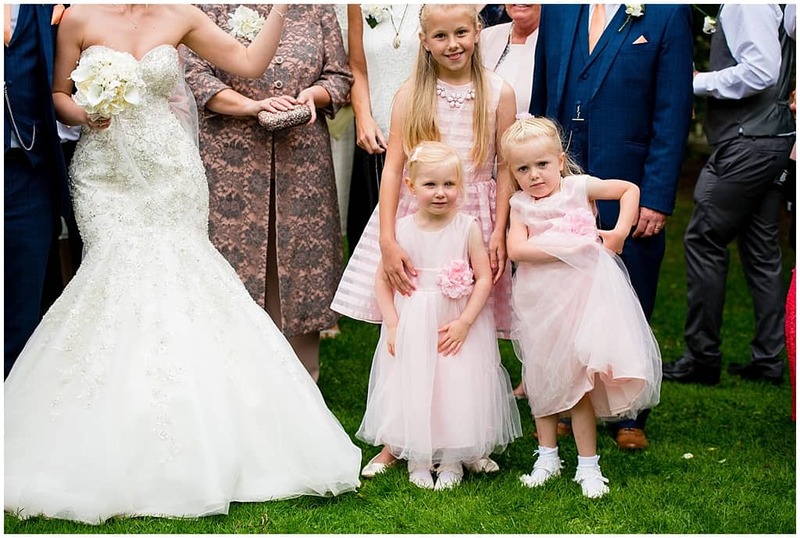 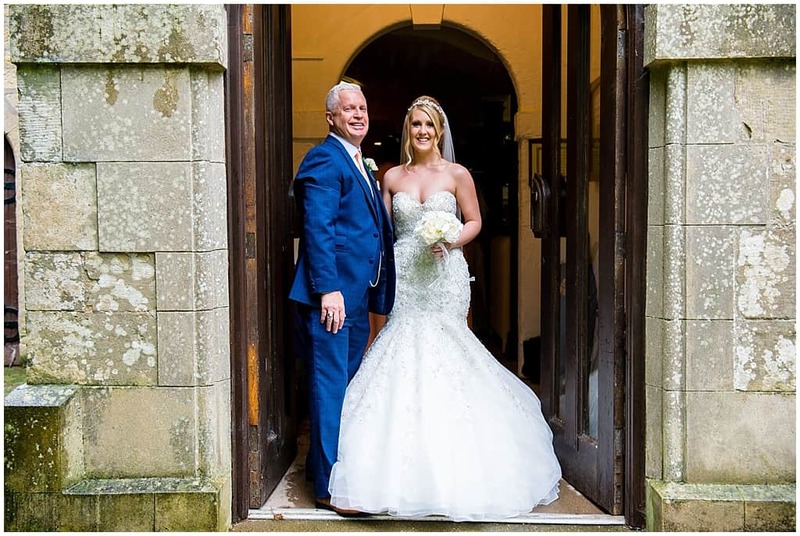 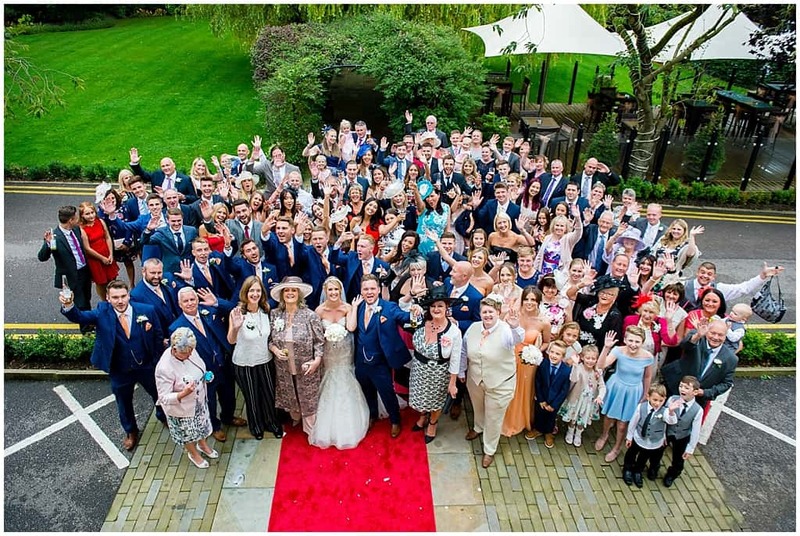 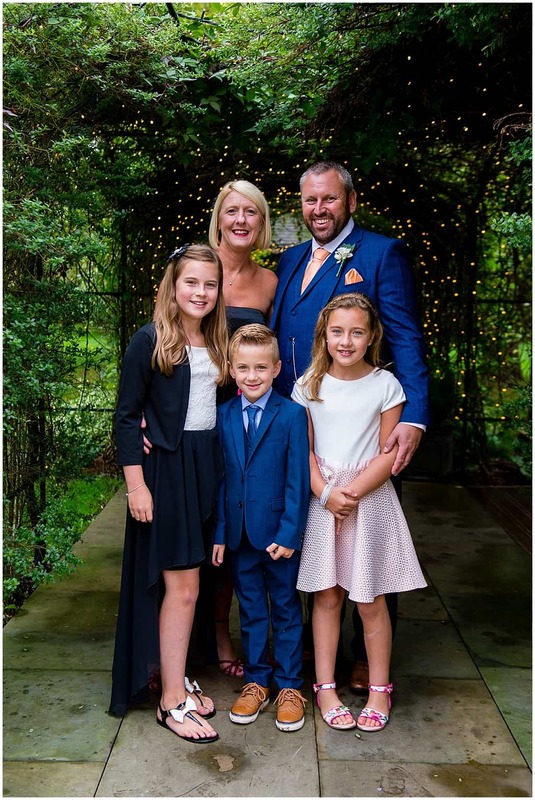 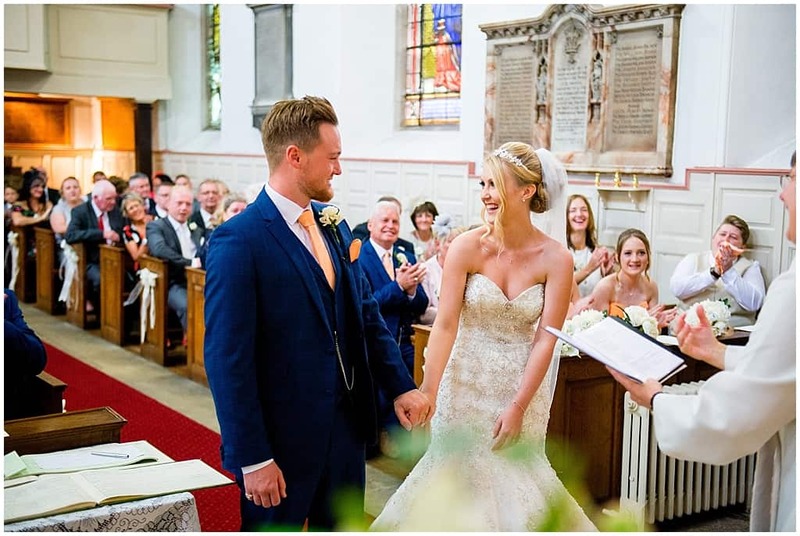 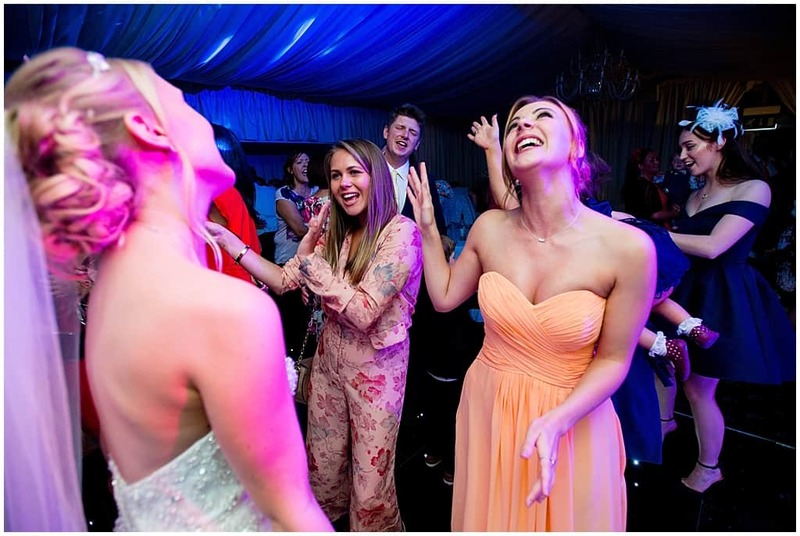 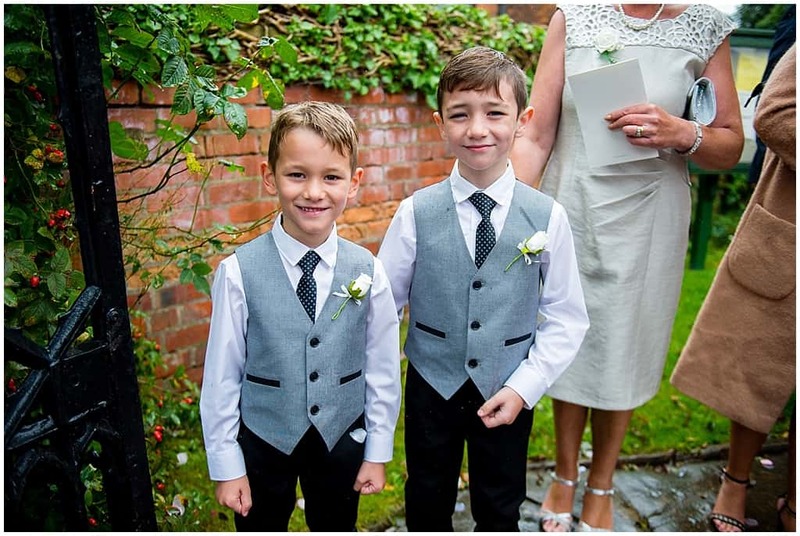 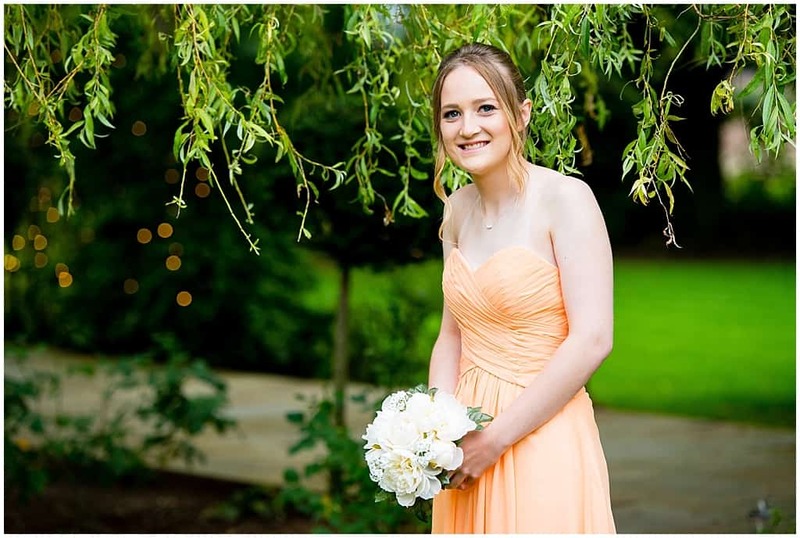 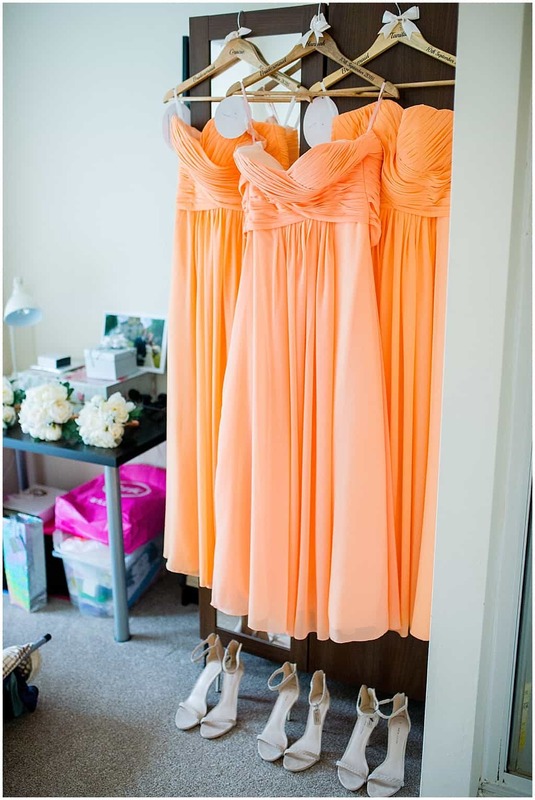 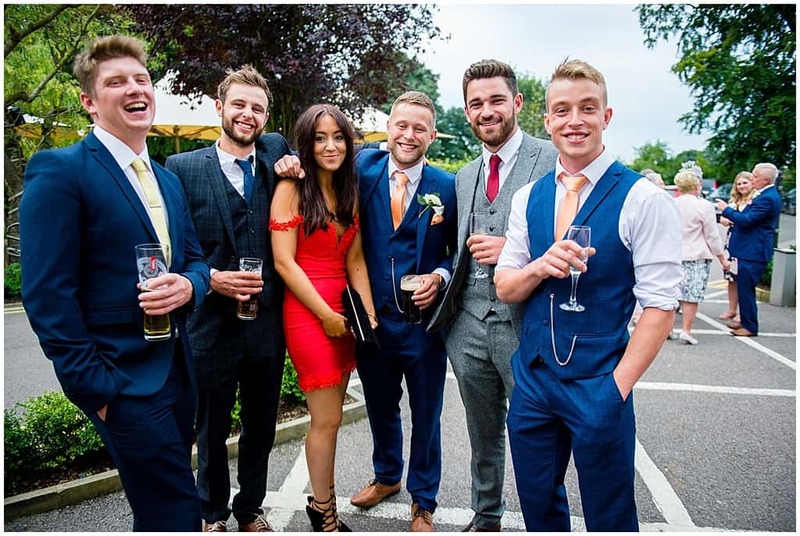 Meggie shone in her gorgeous beaded fishtail Kenneth Winston dress, bought especially for her by her lovely grandparents, accompanied by bridesmaids in perfect peach coloured dresses. 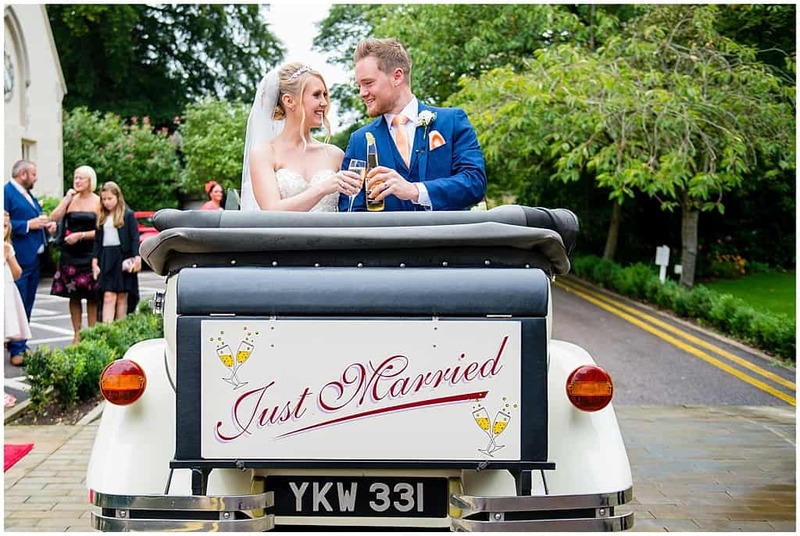 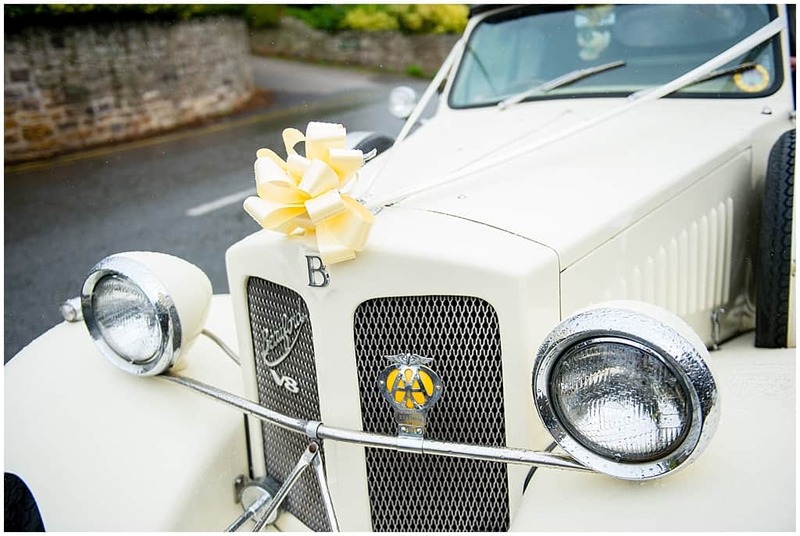 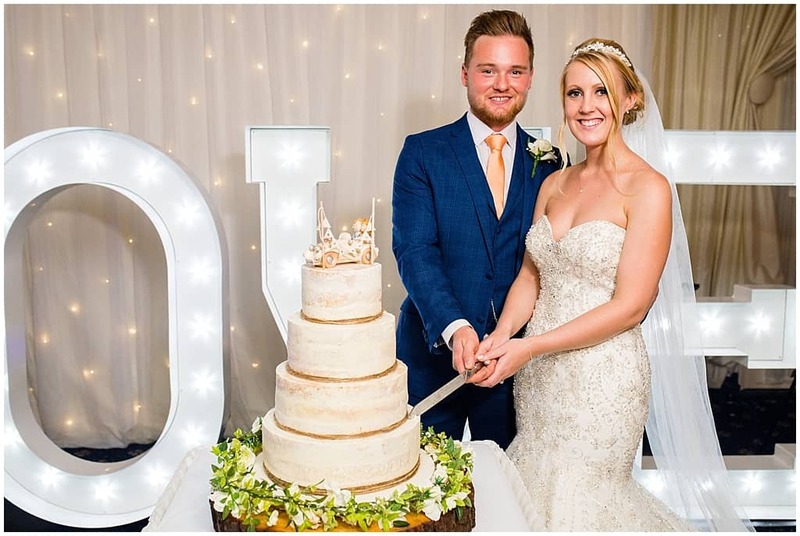 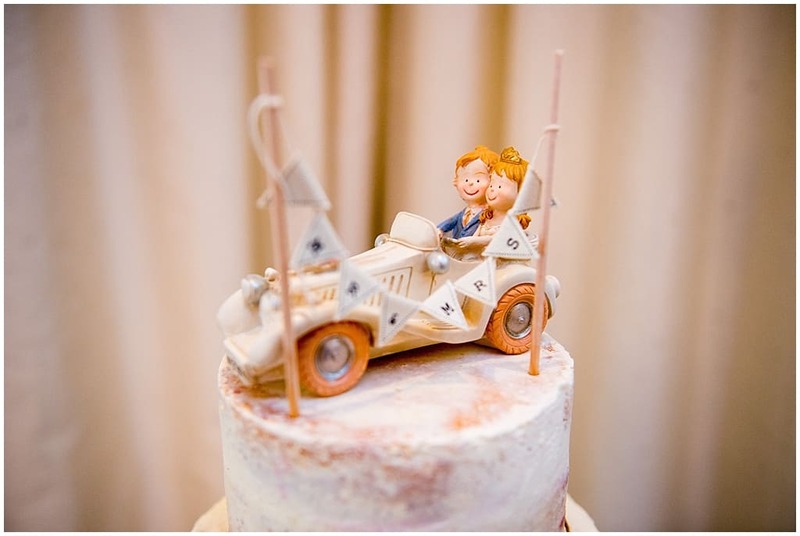 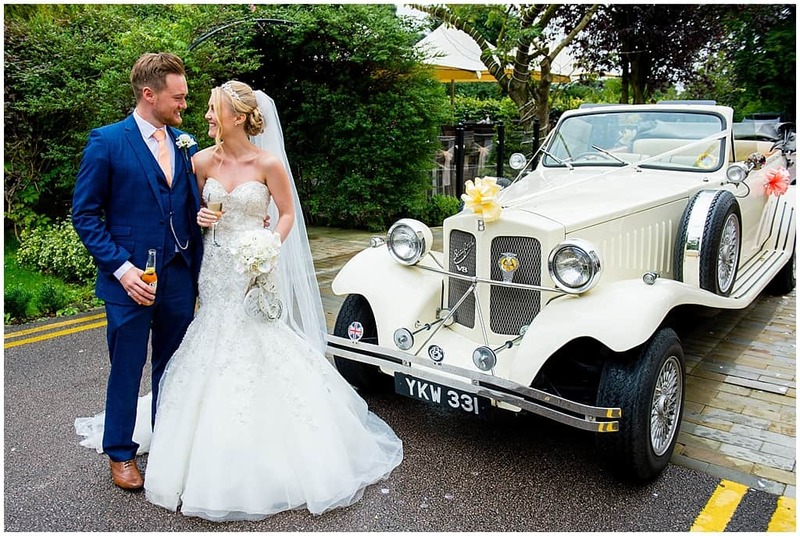 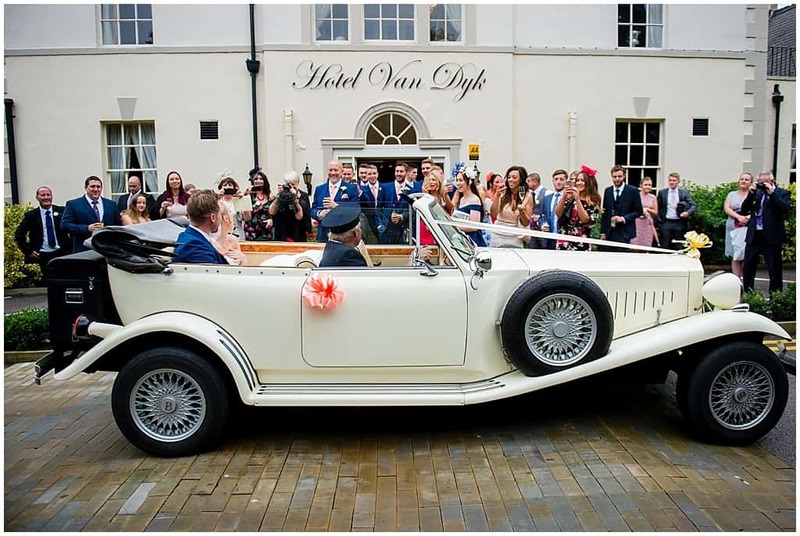 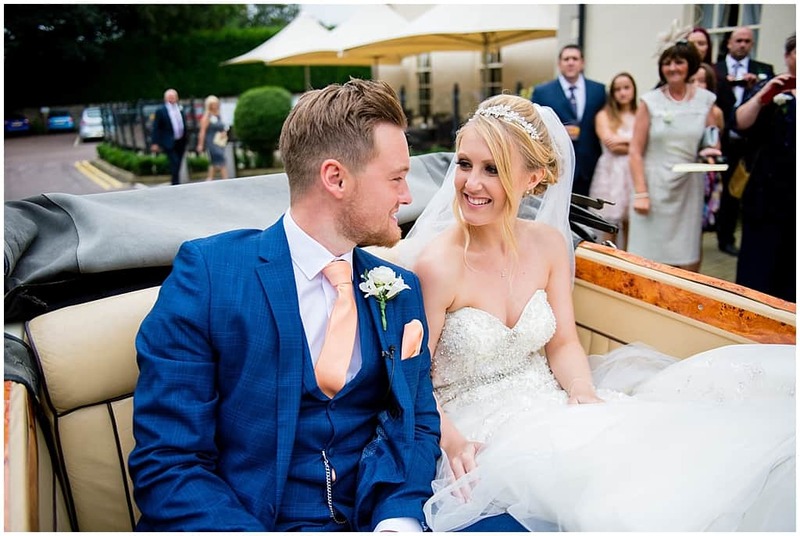 The newly wed couple were driven in the sharpest car of all – a stunning open top cream classic Bentley to their wedding reception at Hotel Van Dyk. 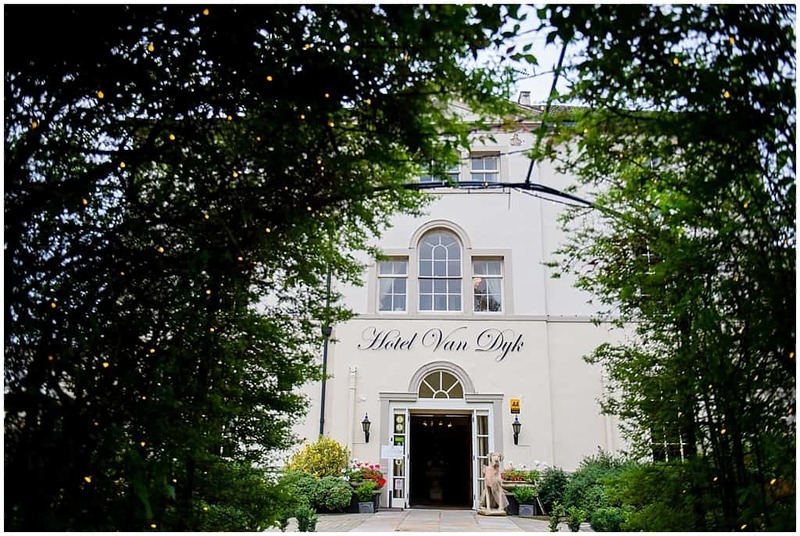 The picturesque country house hotel in the rolling hills of Derbyshire is surrounded by stunning gardens. 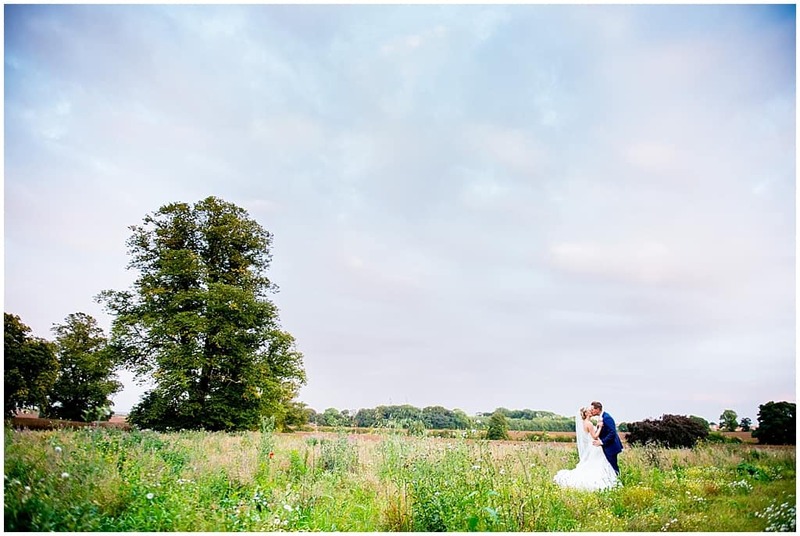 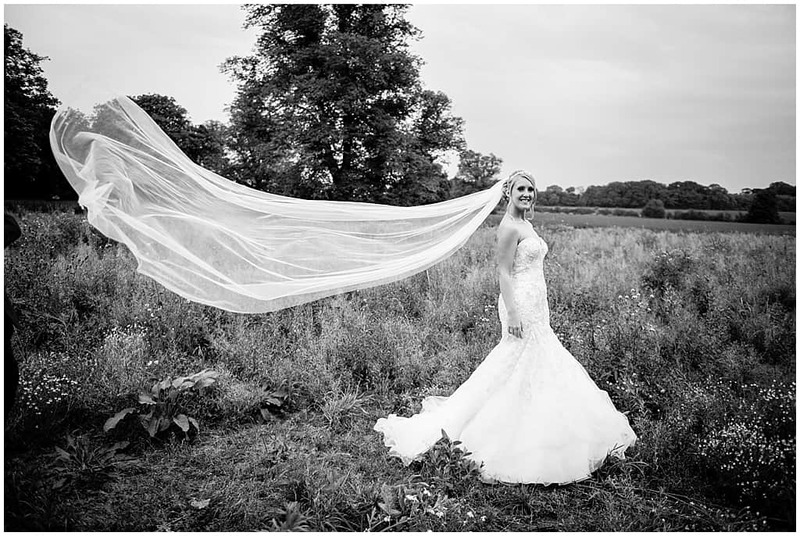 Thankfully the rain has lifted by the time we went for a quiet stroll in the surrounding gardens fields against the blue sky, where we made full use of Meggie’s gorgeous veil. 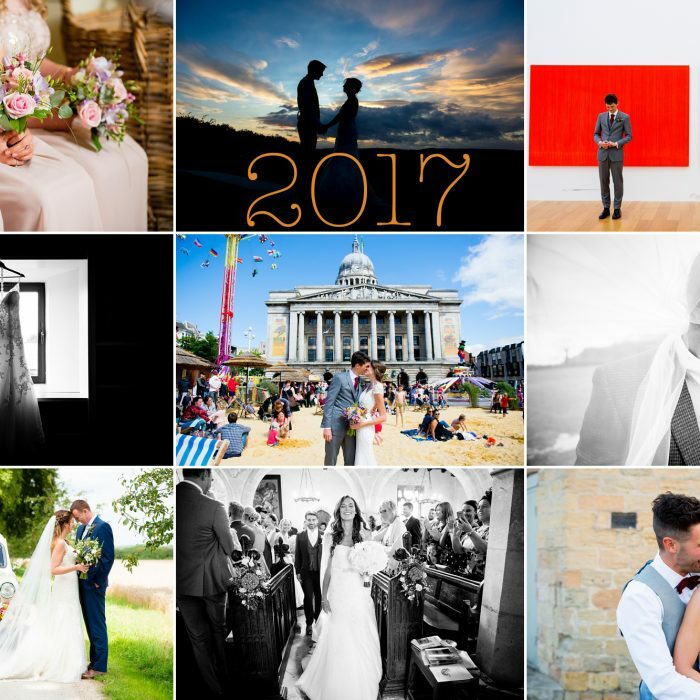 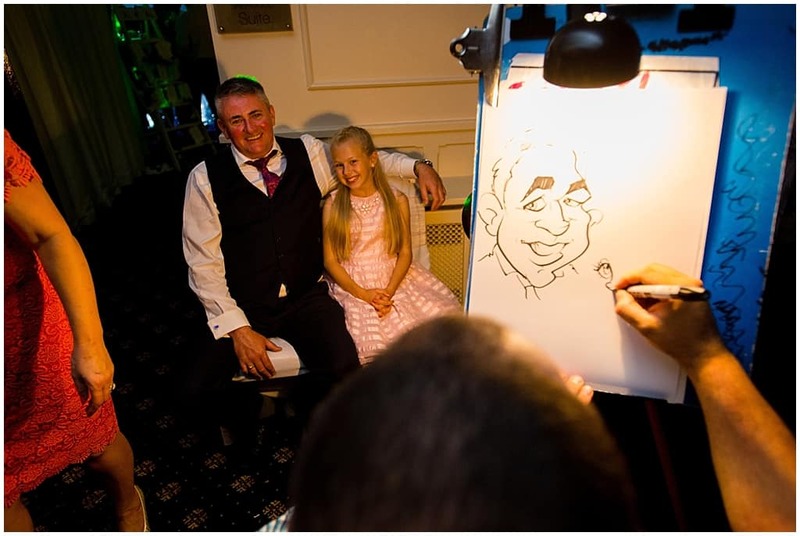 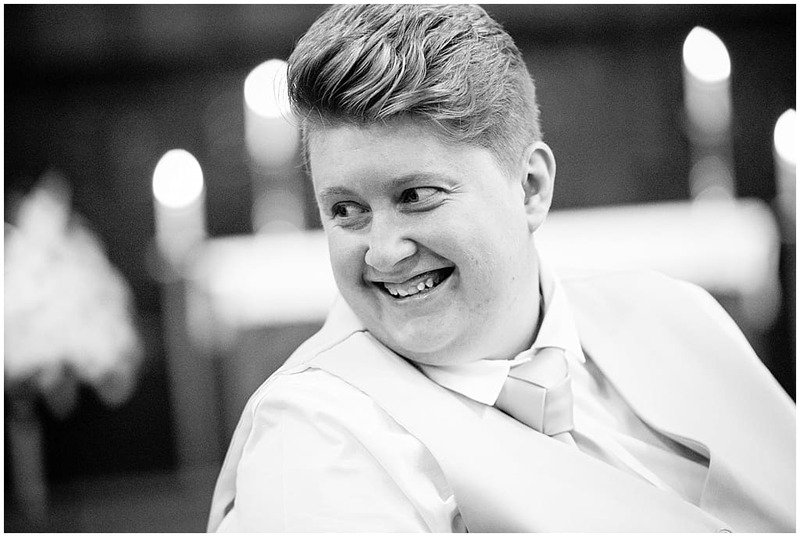 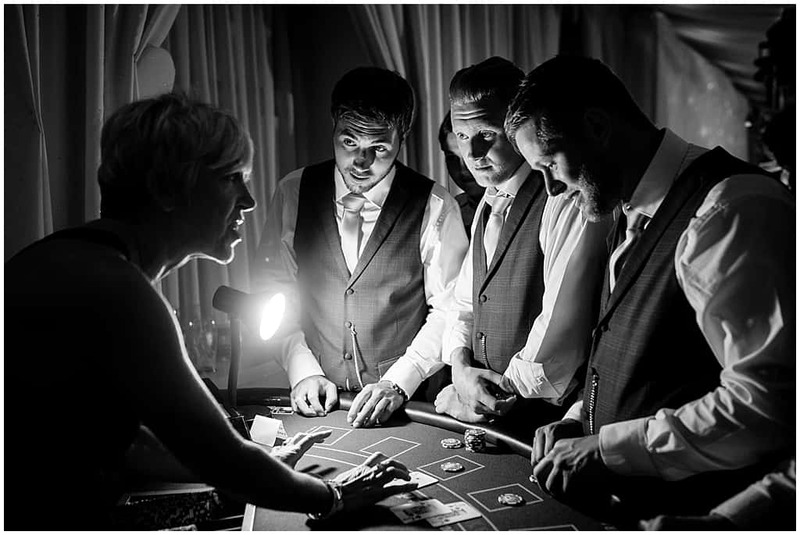 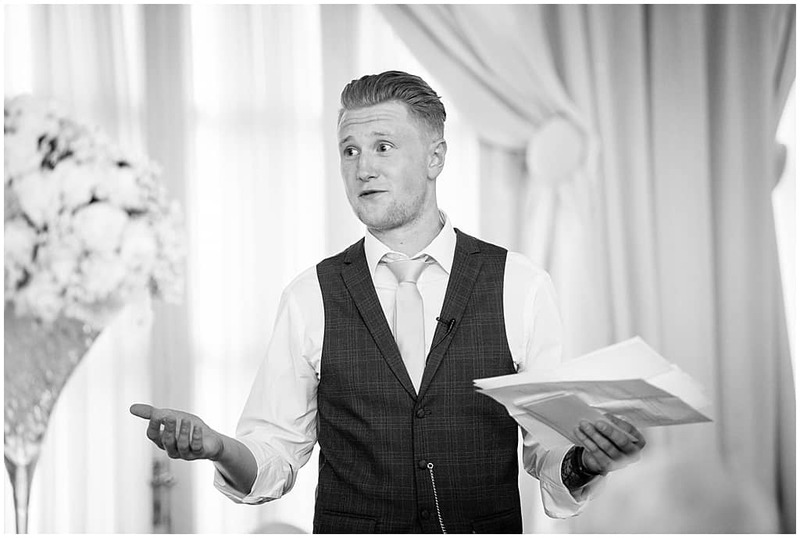 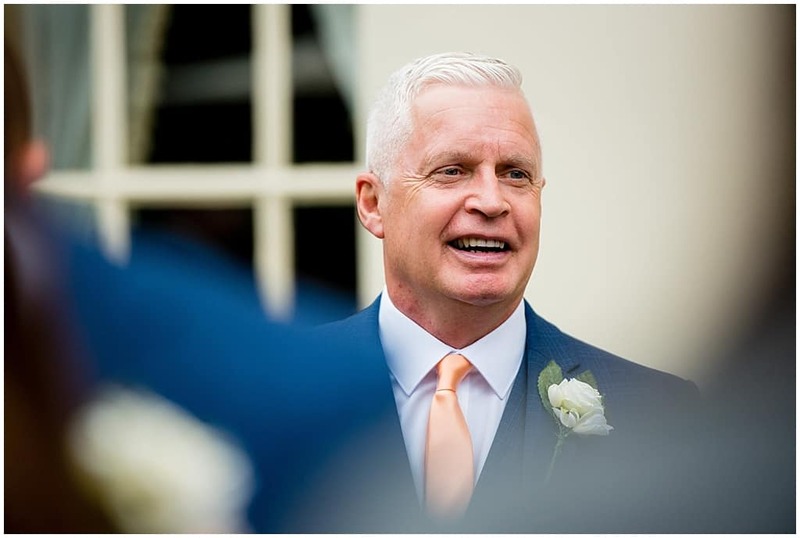 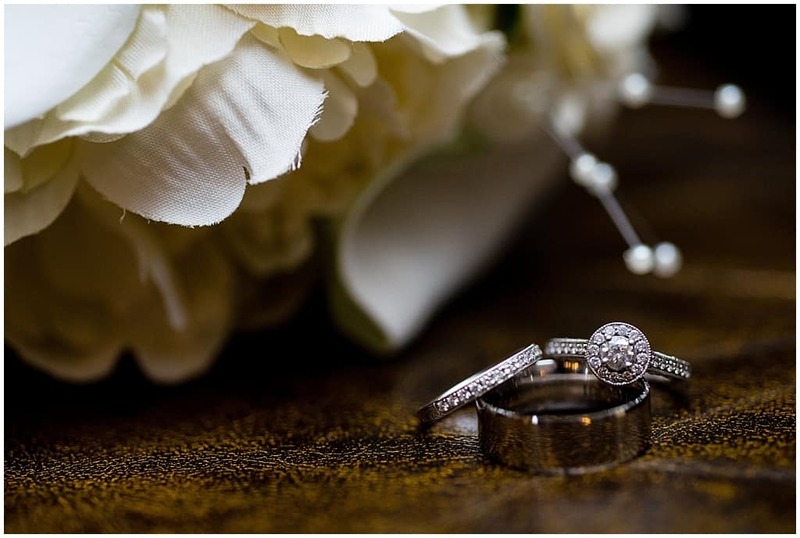 The portrait sessions are one of my favourite times of the wedding day, and 99% of the time, my couples say the same too. 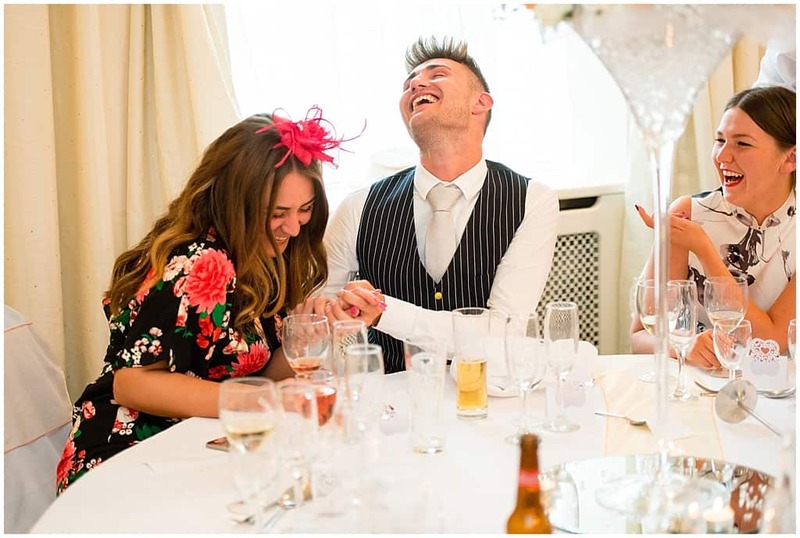 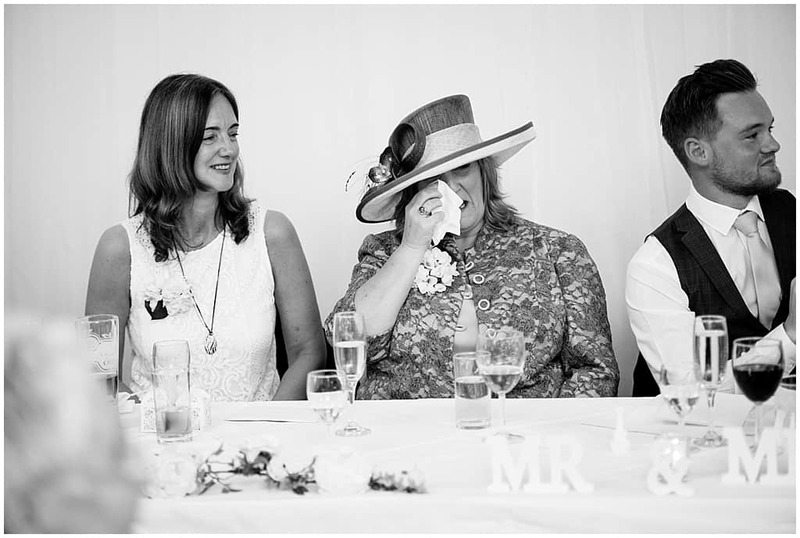 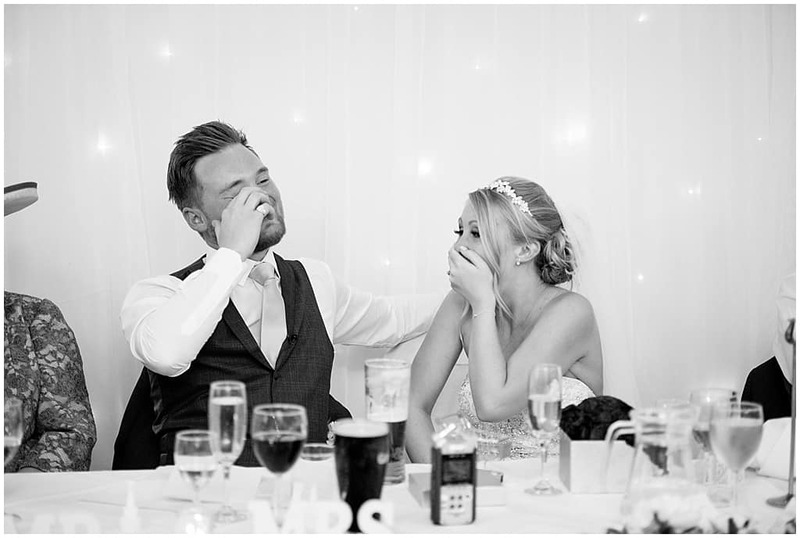 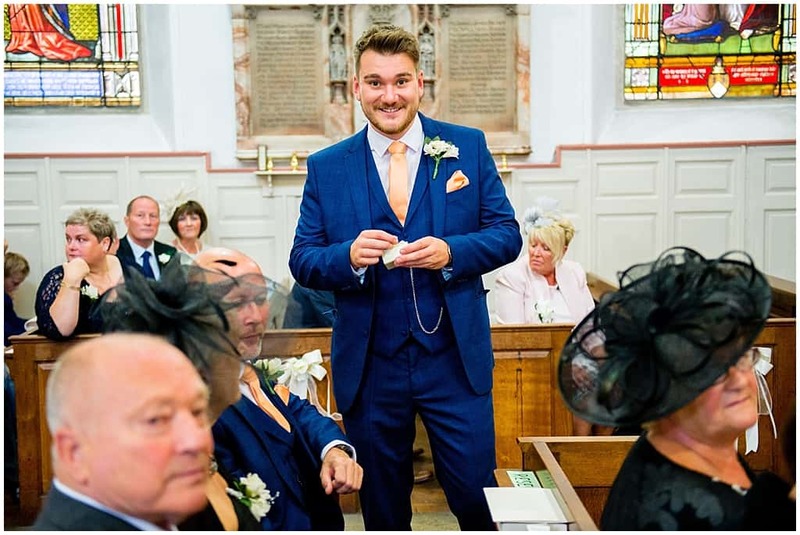 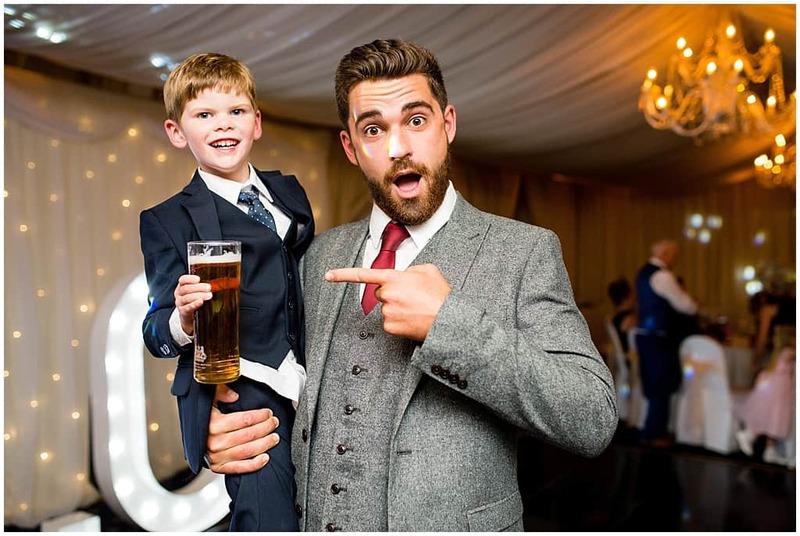 Its one of the first and only times during their wedding they’ll get to be alone and reflect on the day so far – and we always have a laugh too!